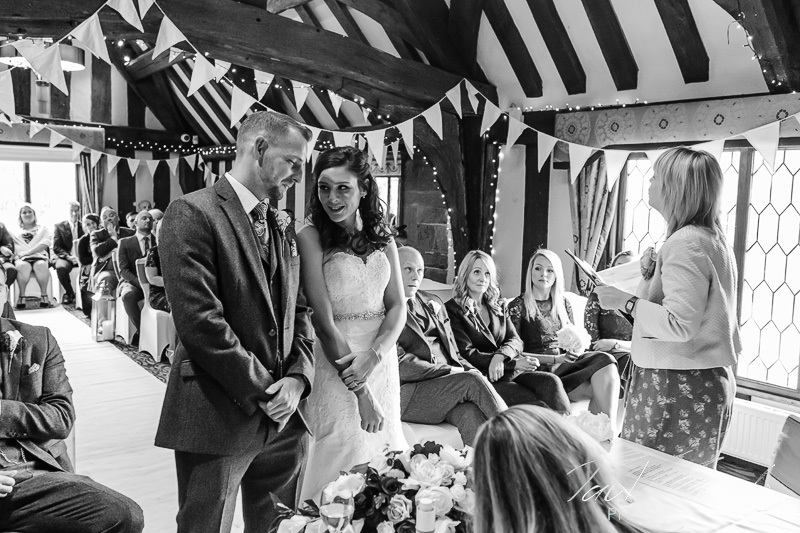 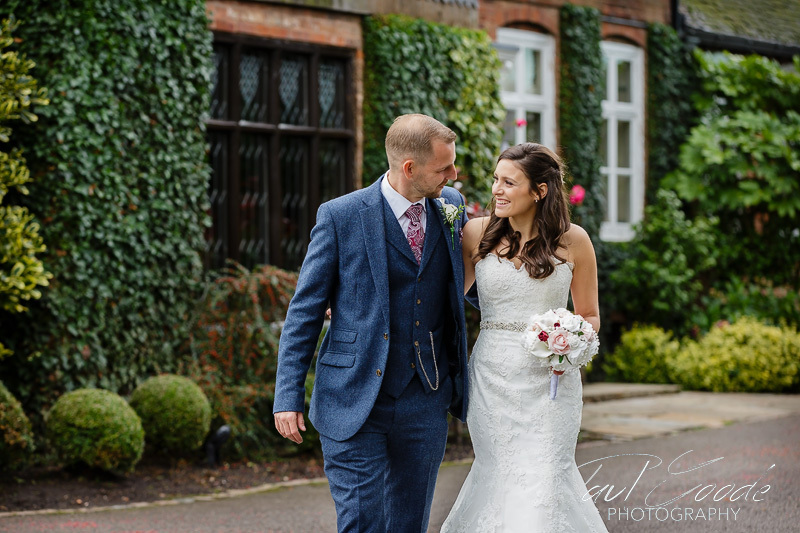 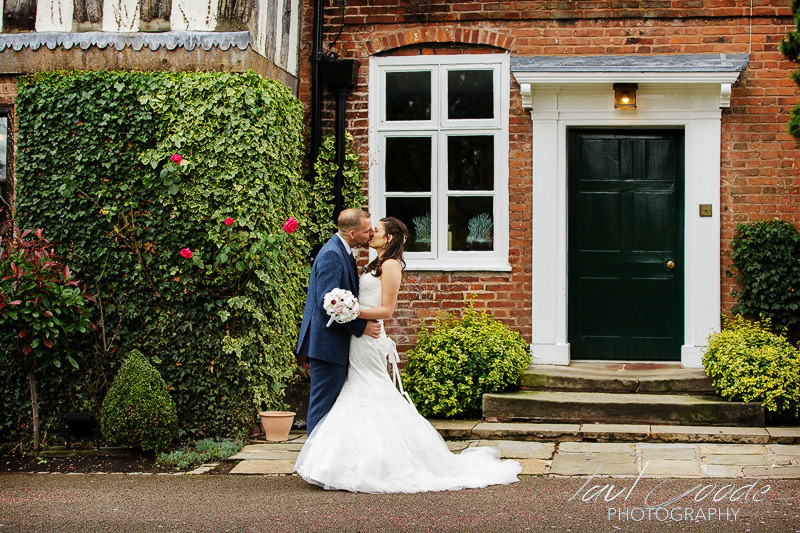 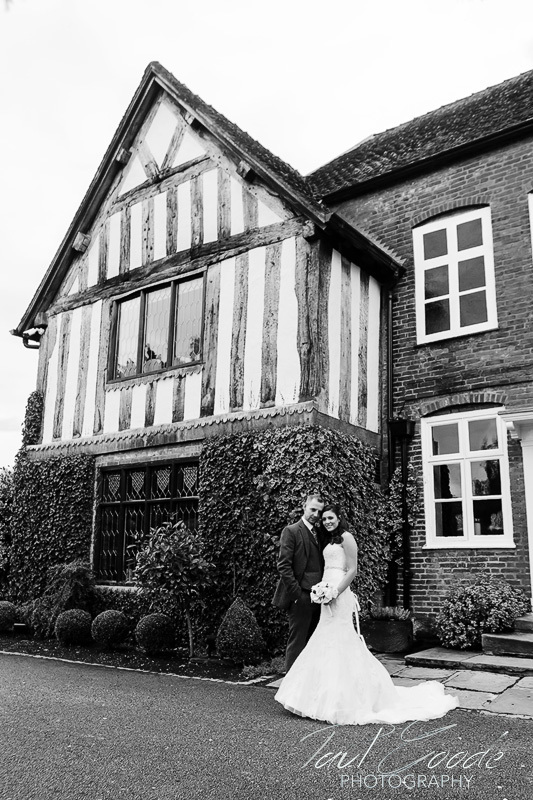 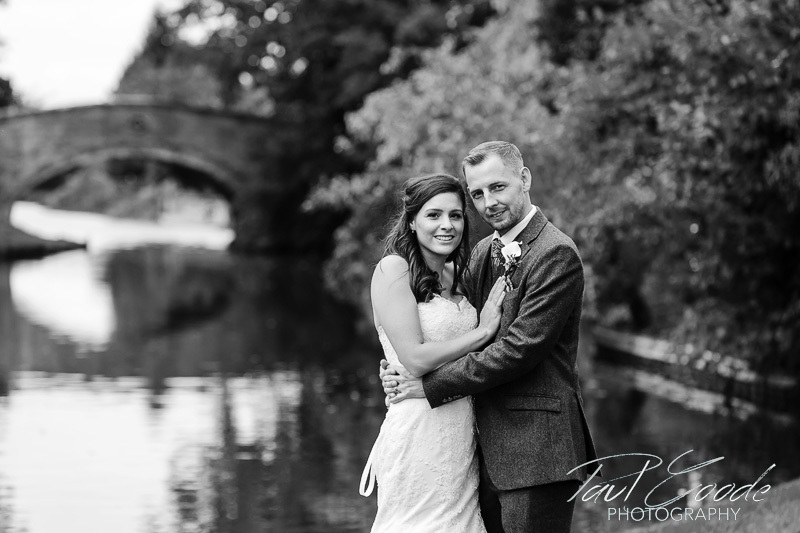 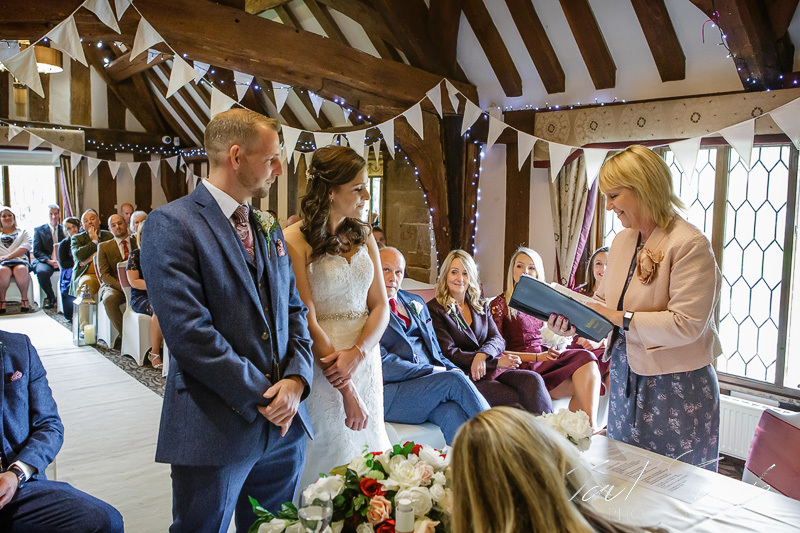 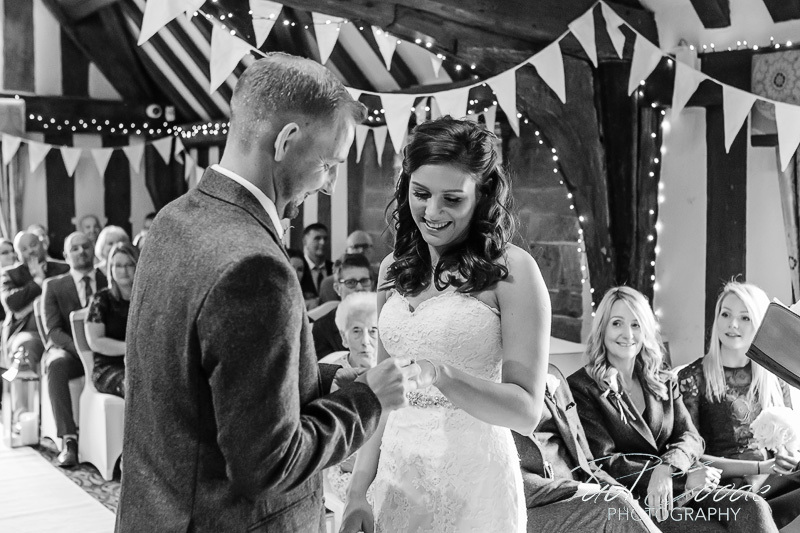 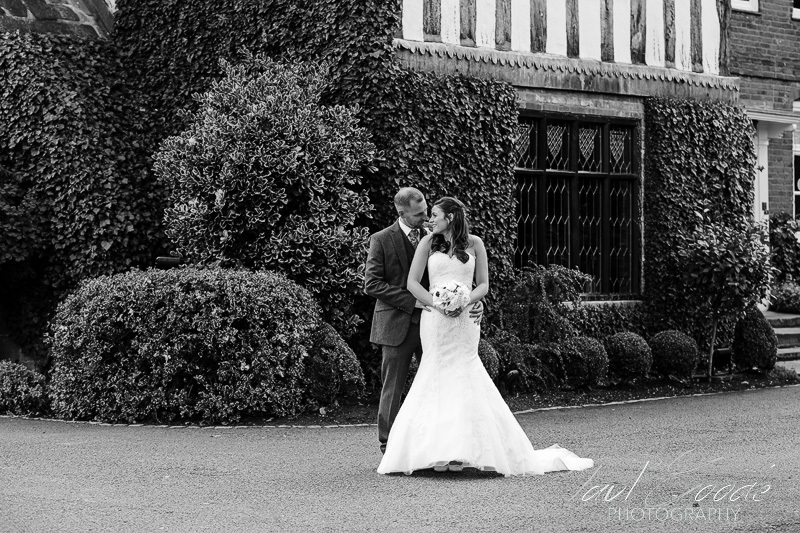 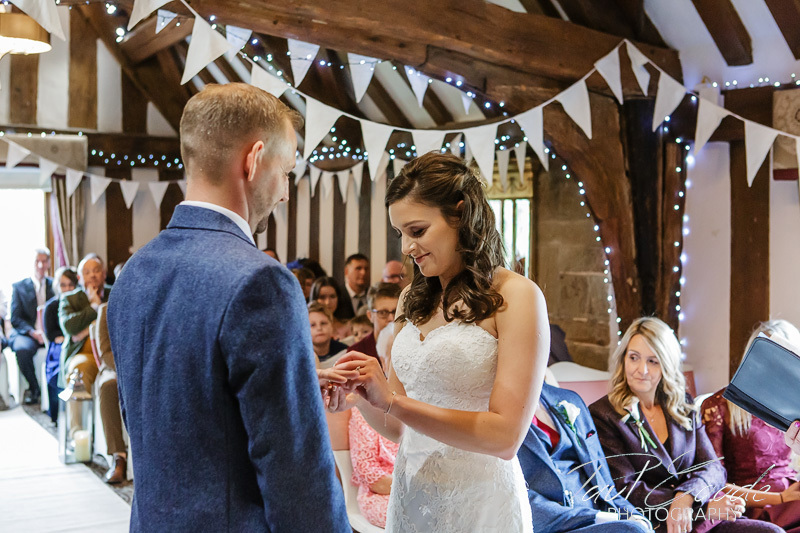 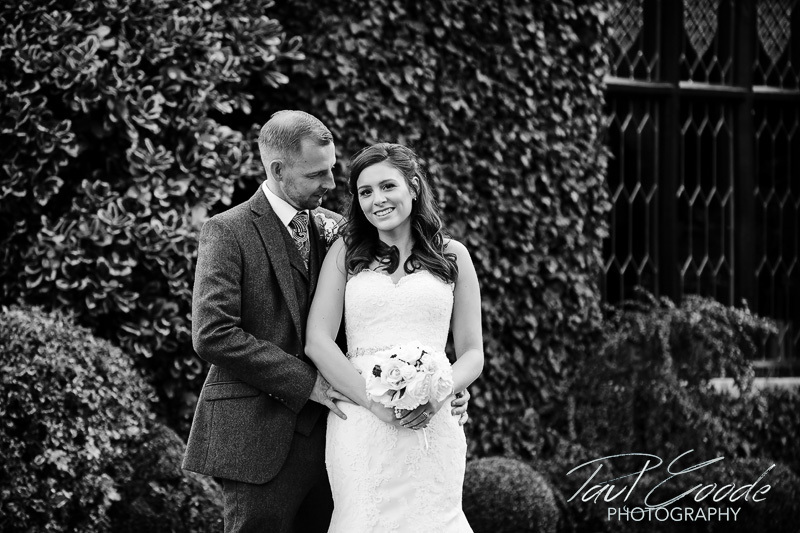 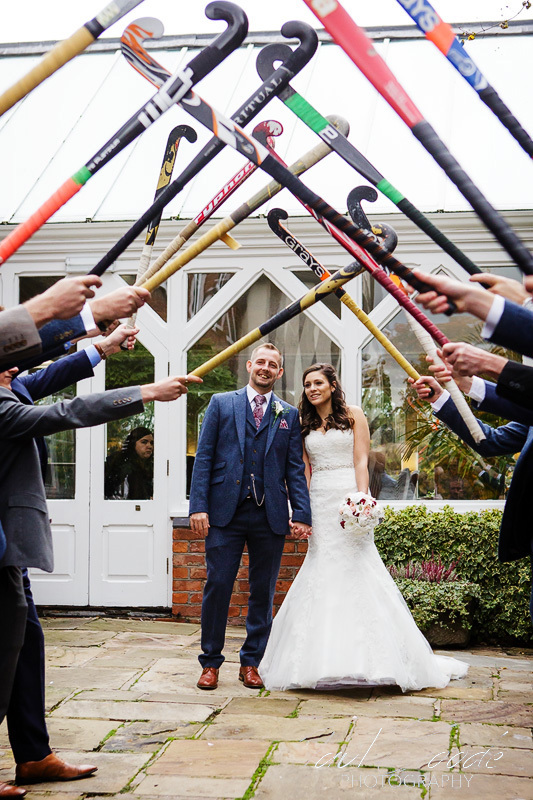 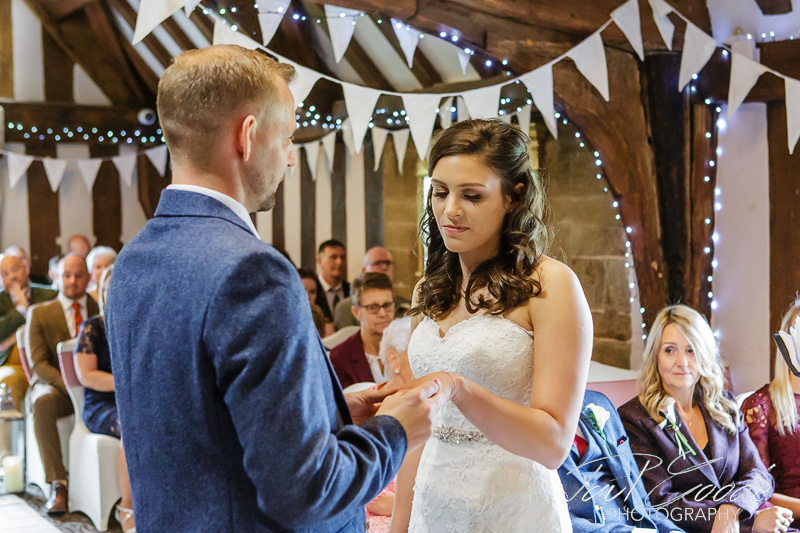 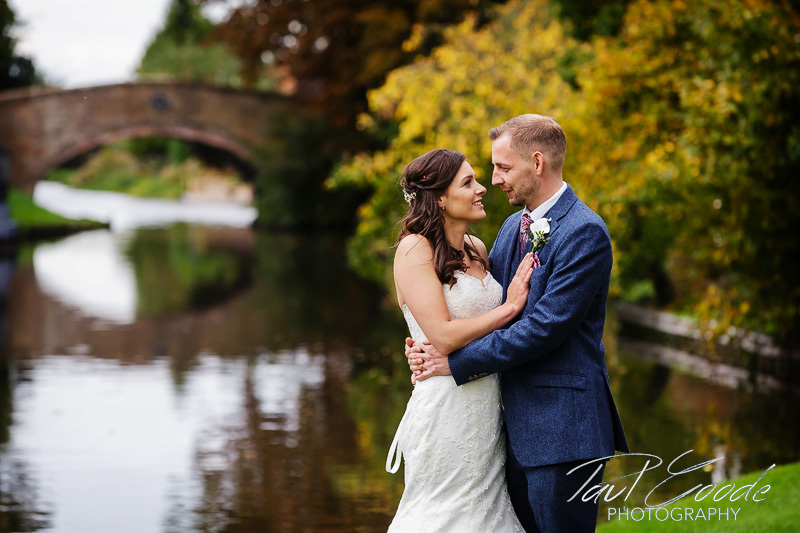 It was great to be back again providing wedding photography at The Moat House in Staffordshire, this time for Lucy and Ade’s autumn wedding day. 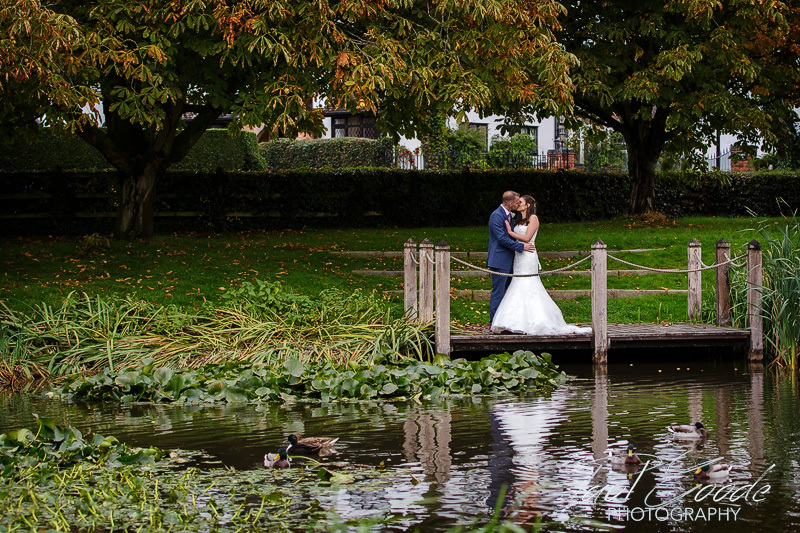 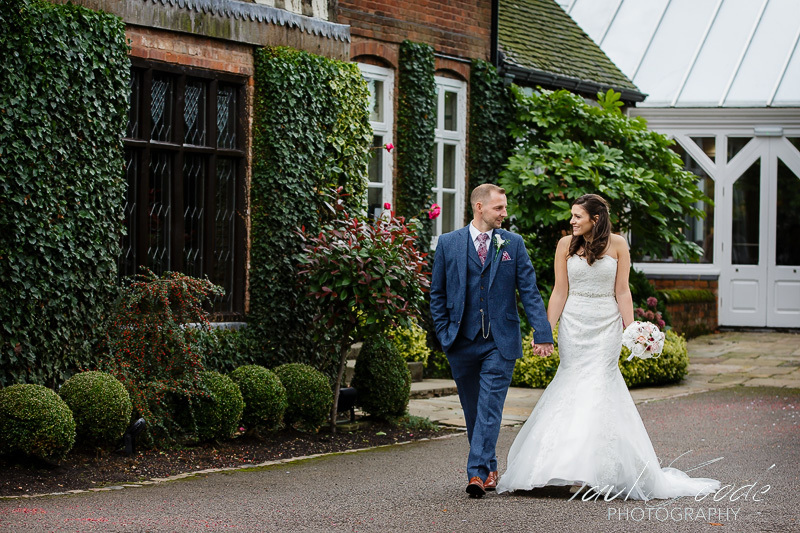 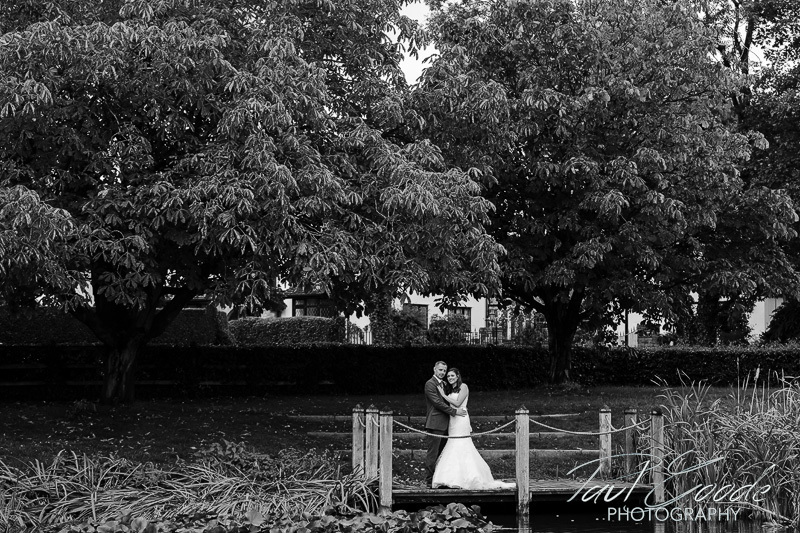 Over in the Acton Suite, Lucy and Ade then held a drinks reception with their guests followed by family photos Having a little time on their own, Lucy and Ade took a stroll round the stunning gardens and lakeside of The Moat House, which provided a lovely setting for their portrait shots. 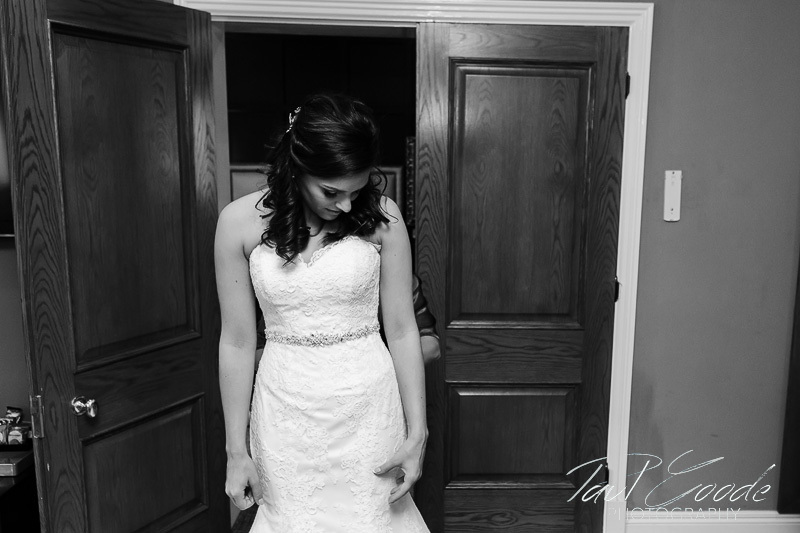 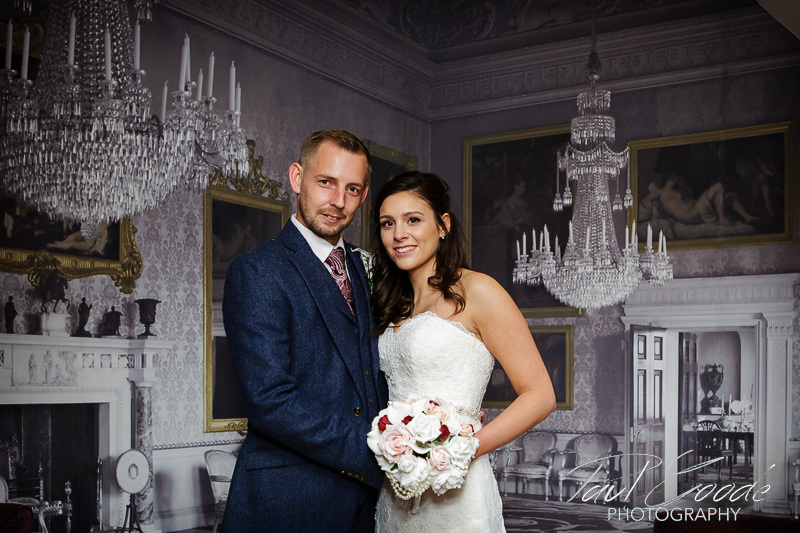 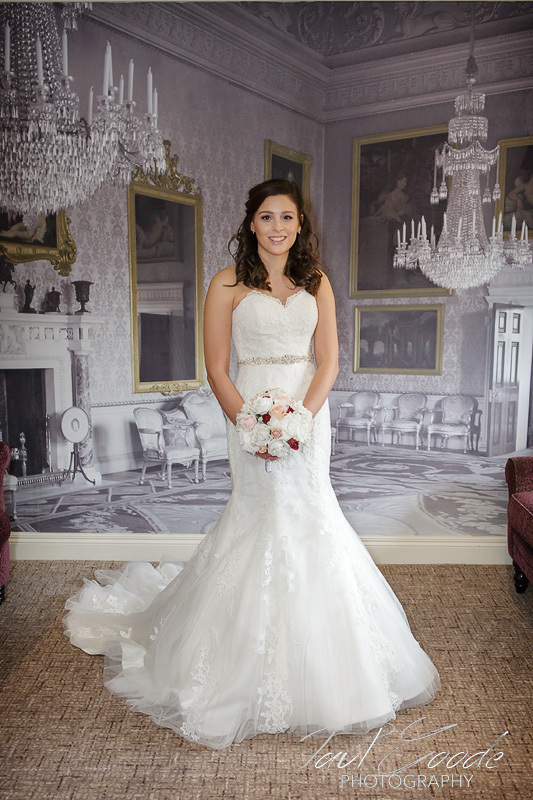 We also captured a few more shots inside, with the backdrop of the Wedgewood Suite and staircase. 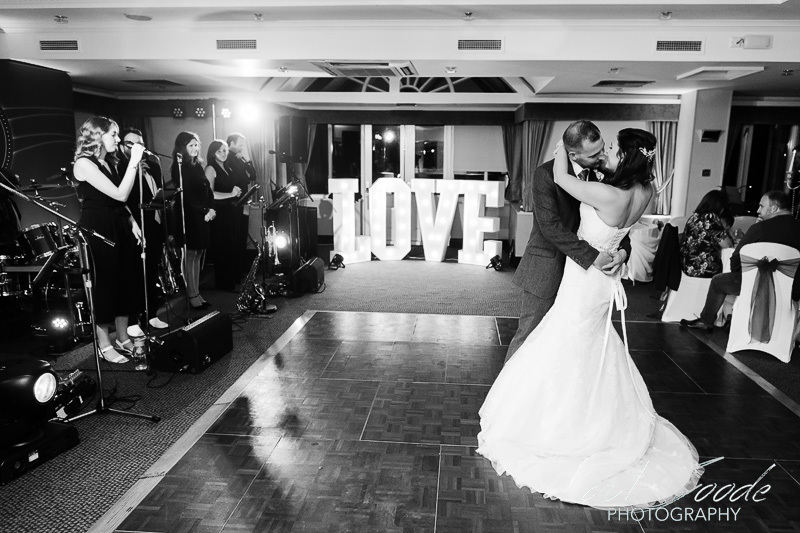 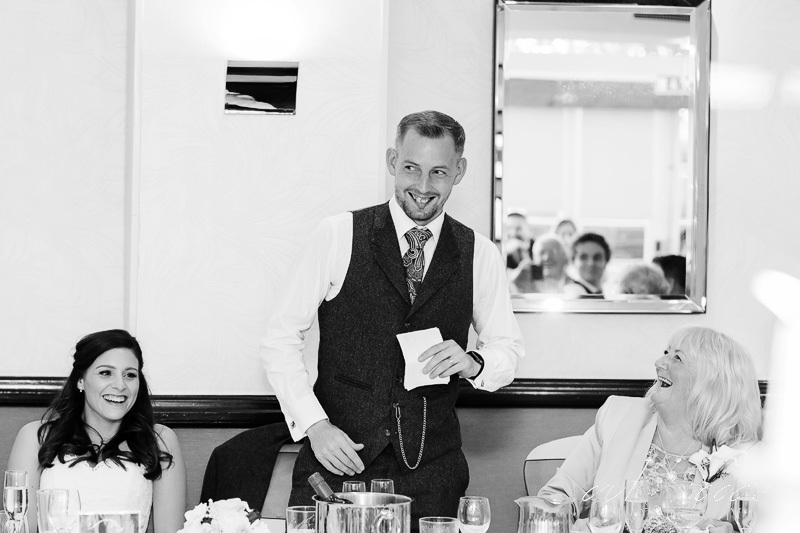 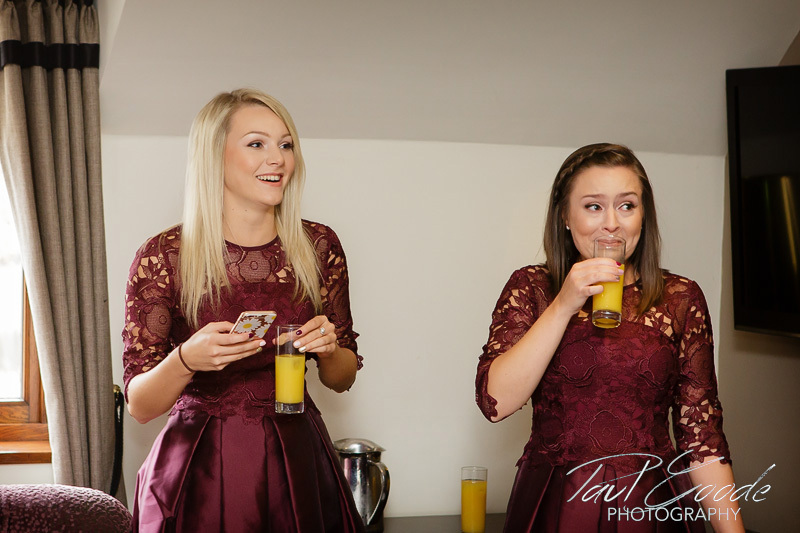 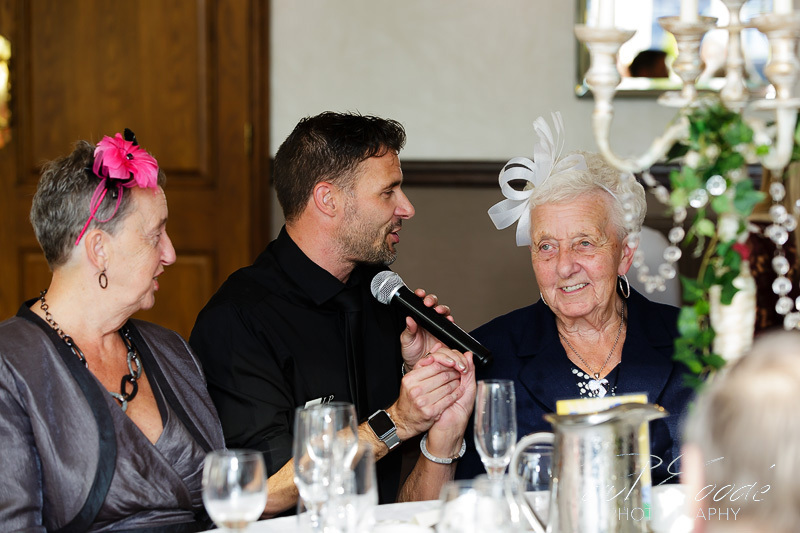 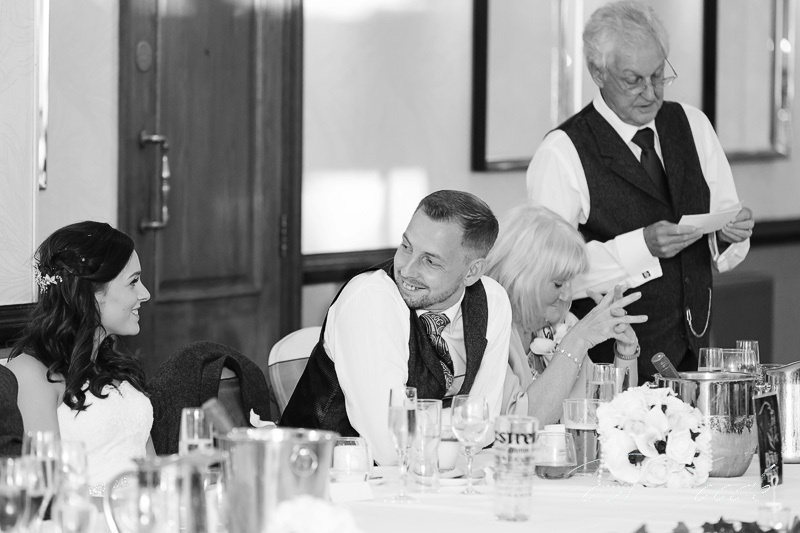 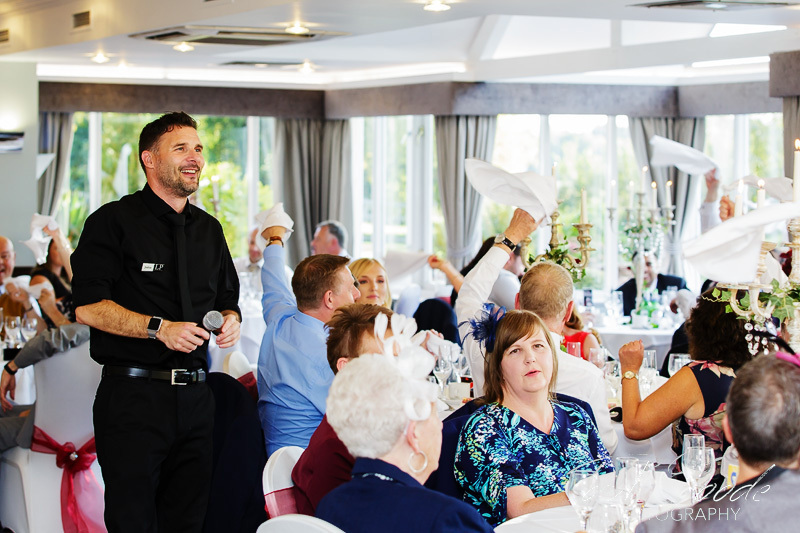 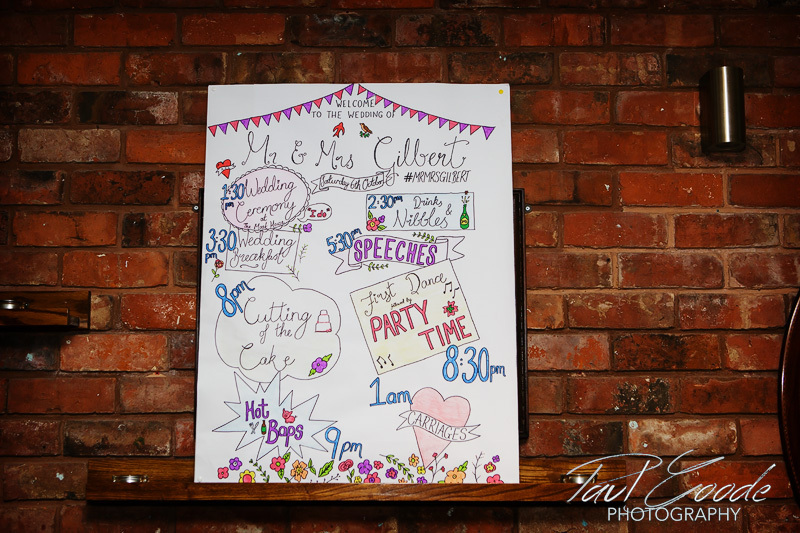 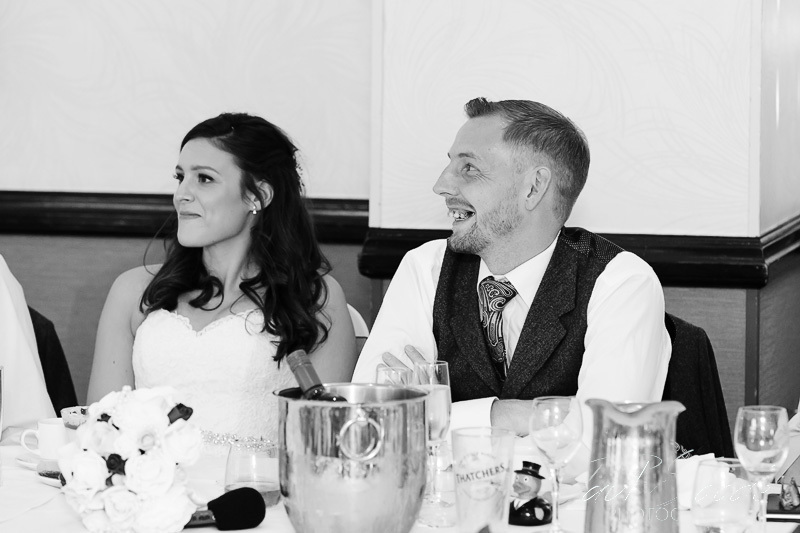 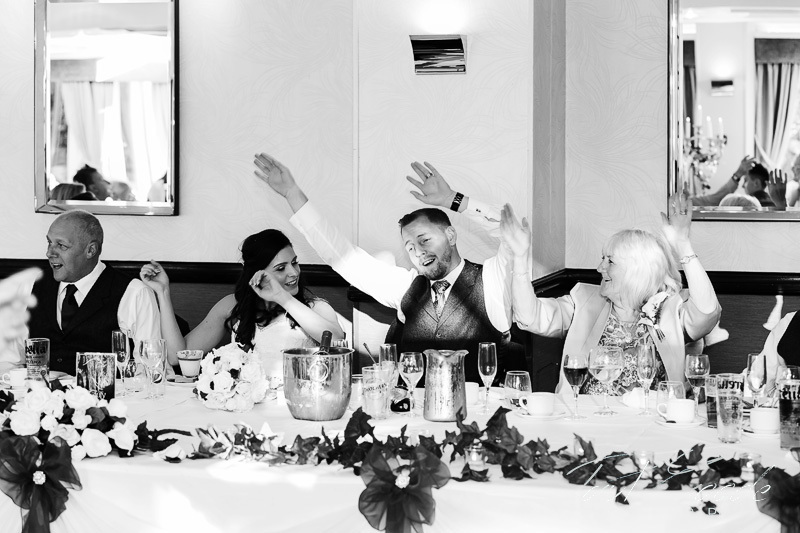 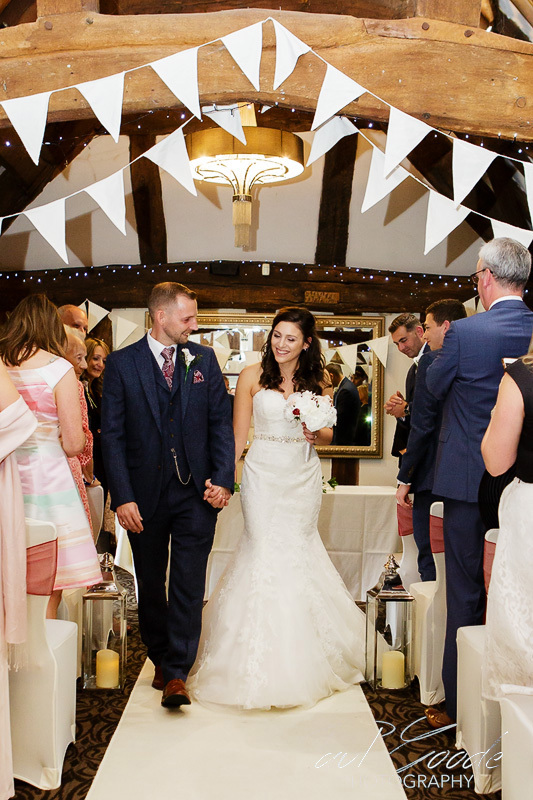 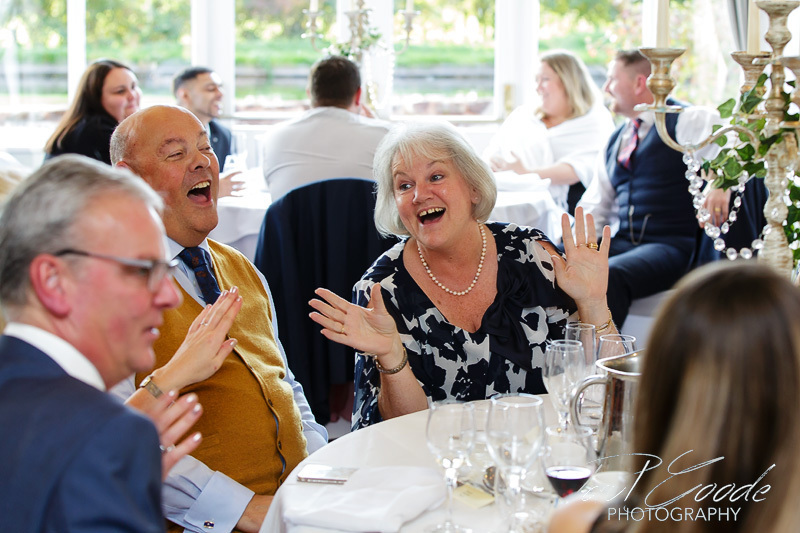 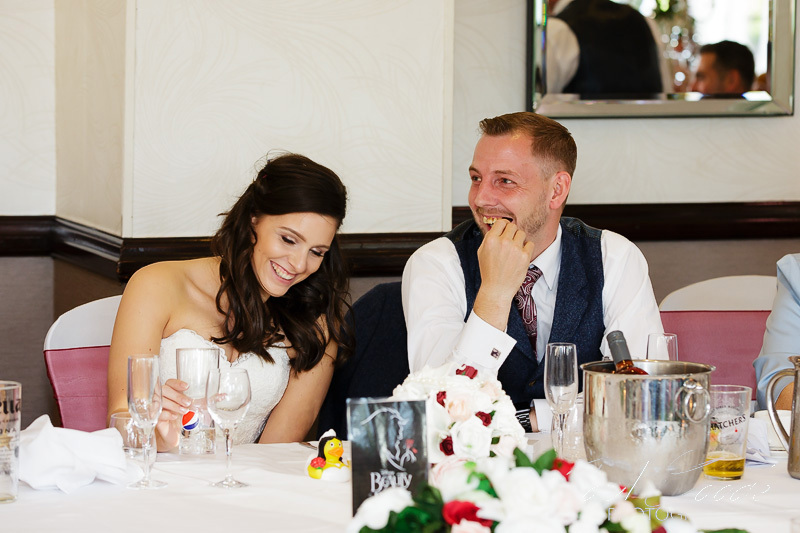 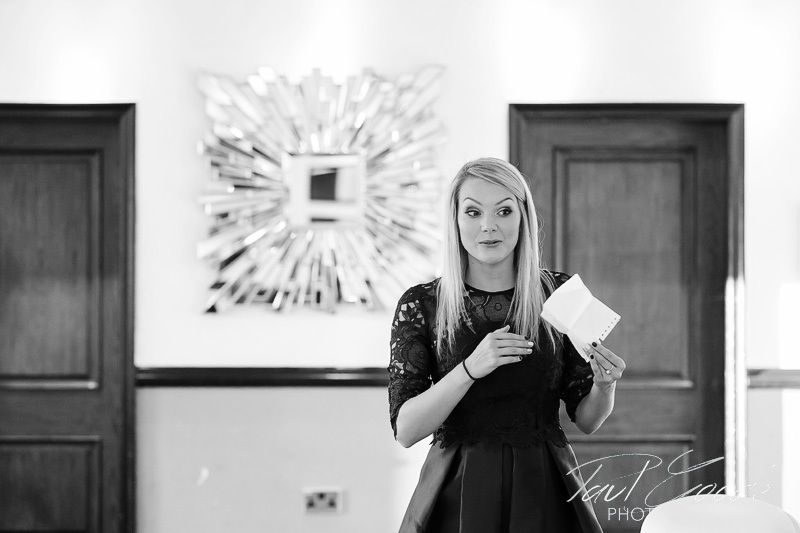 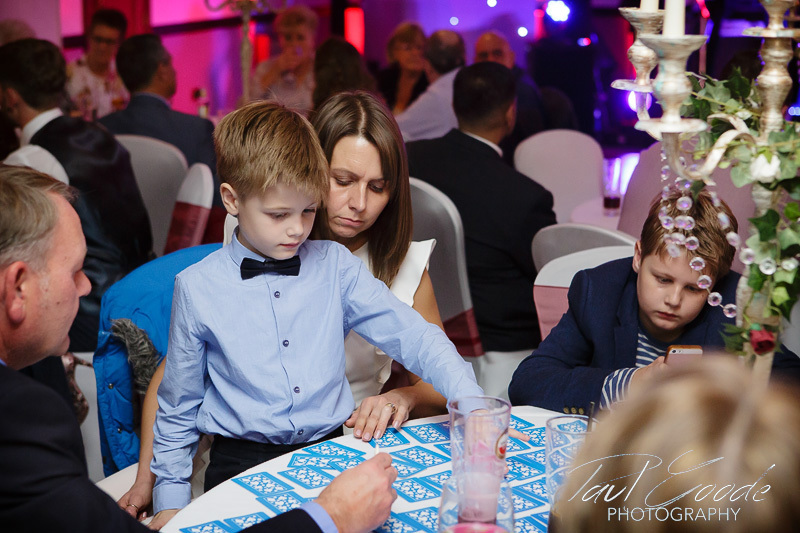 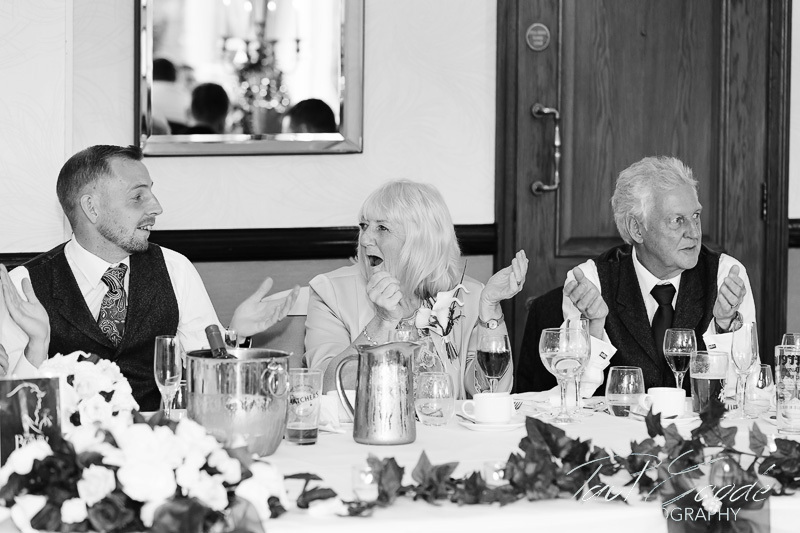 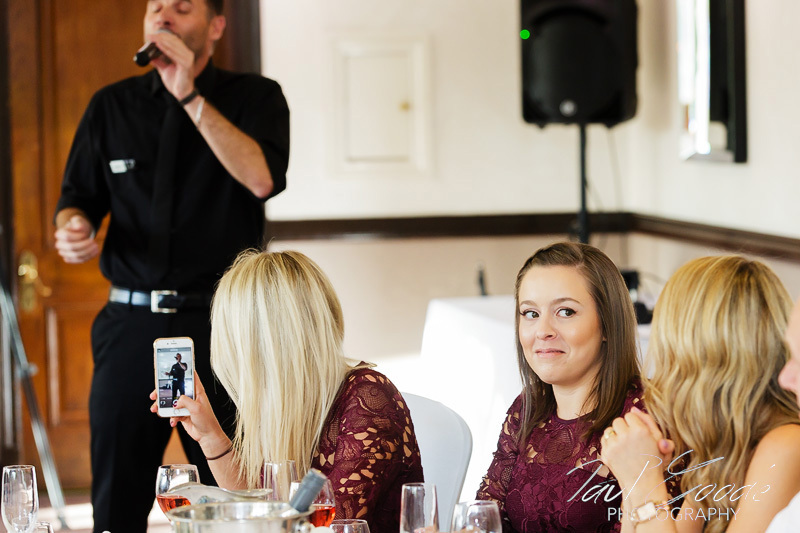 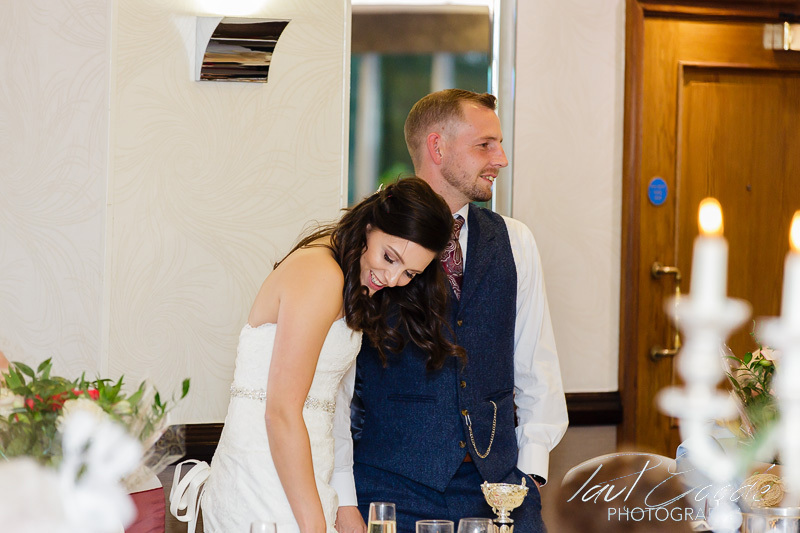 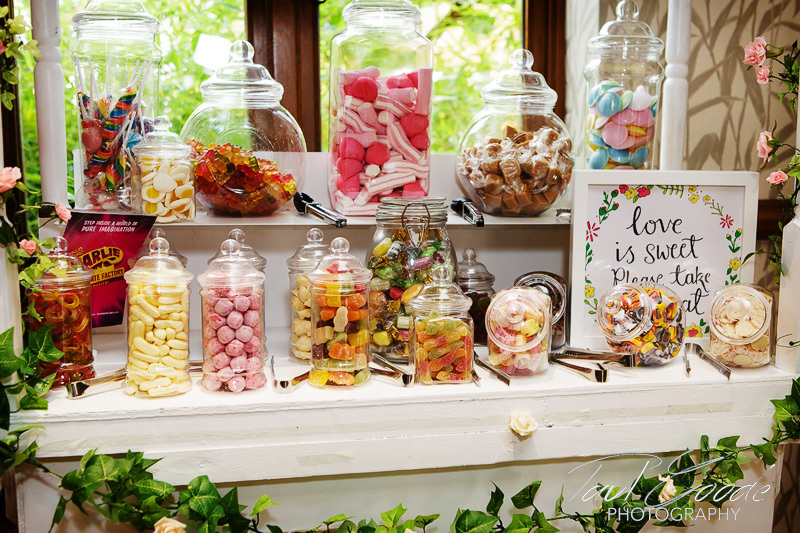 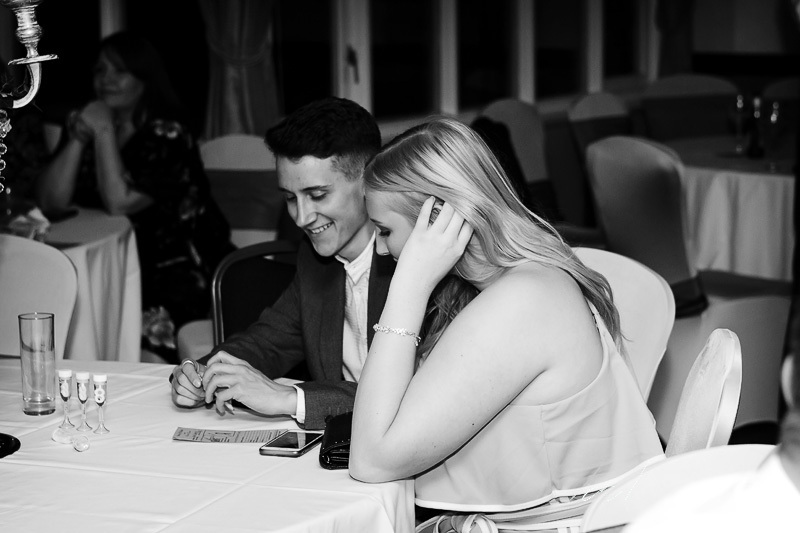 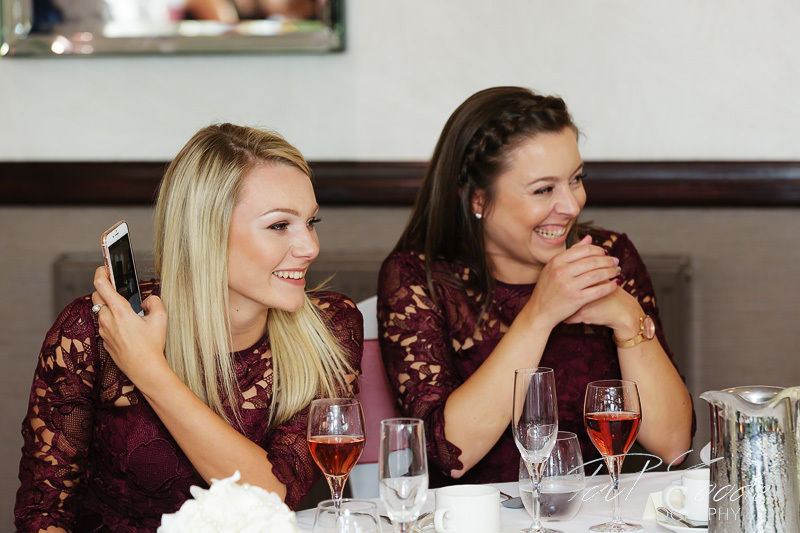 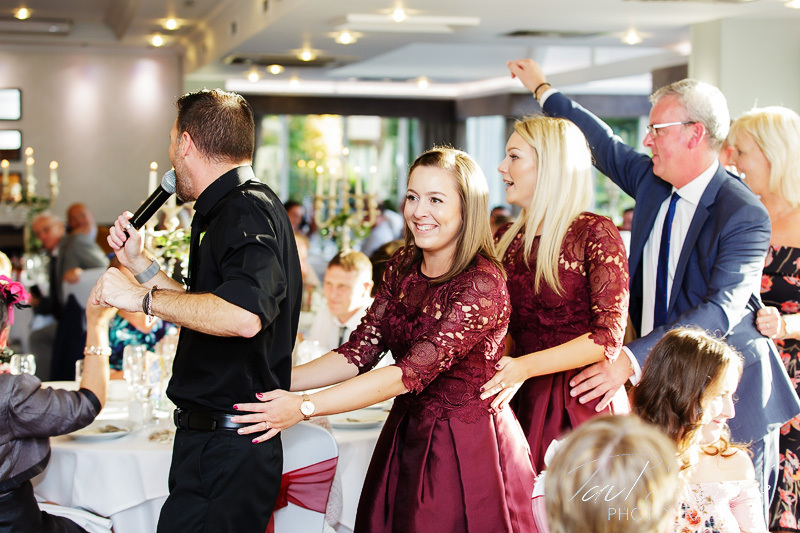 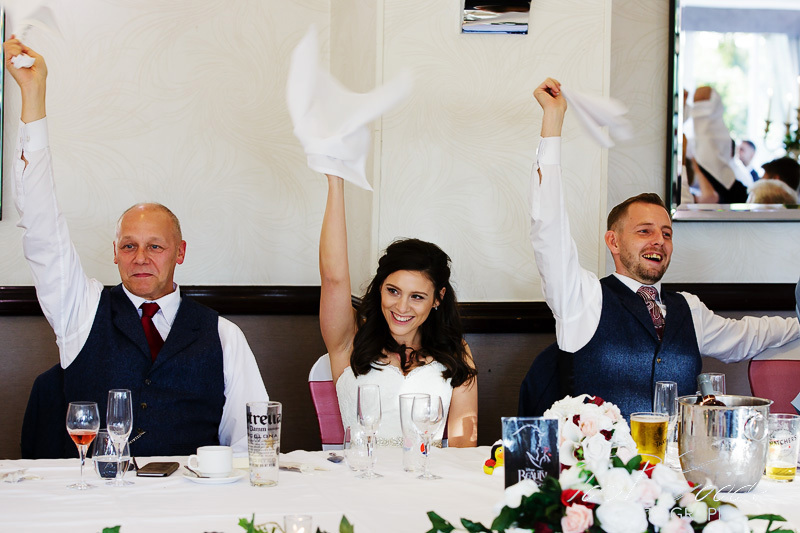 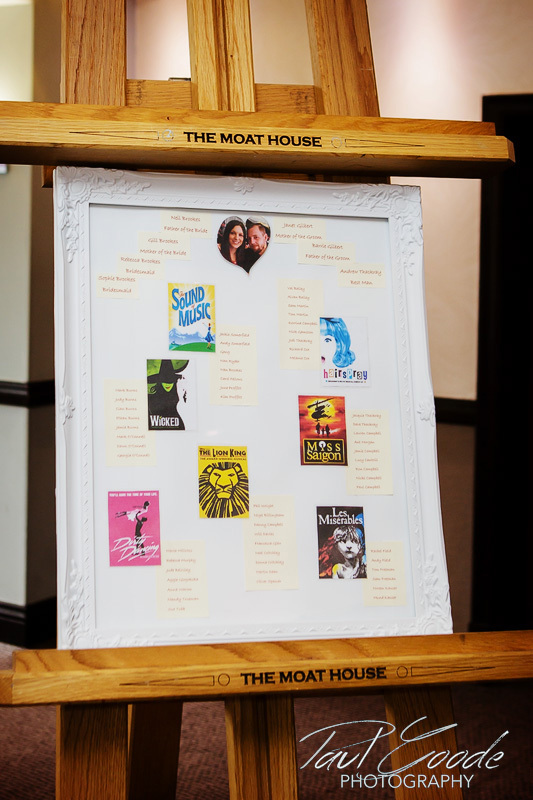 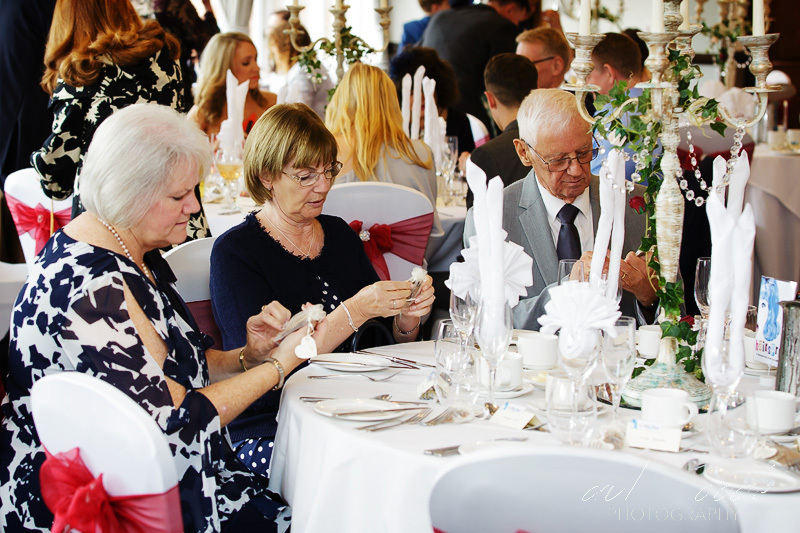 Lucy and Ade’s wedding breakfast took on a whole ‘musicals’ theme, complete with a singing waiter, providing loads of laugher and audience participation! 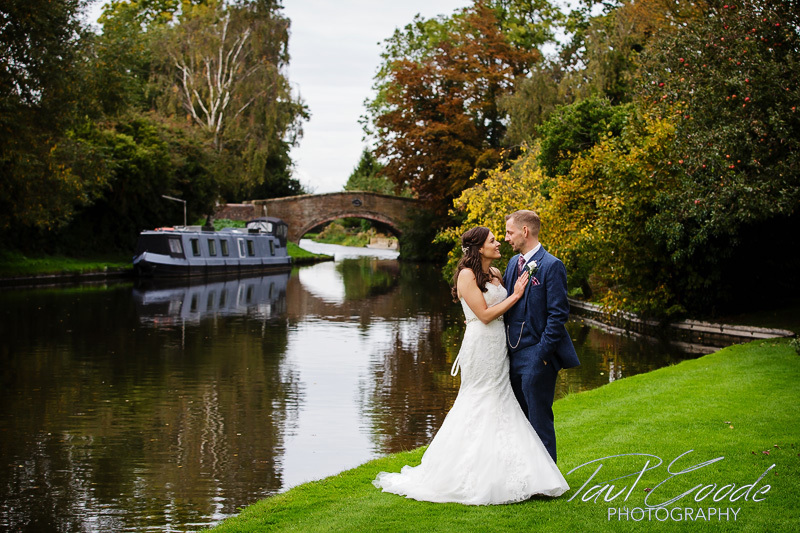 After the speeches Lucy and Ade had some twilight photos taken down by the canalside before returning to their guests for the evening celebrations. 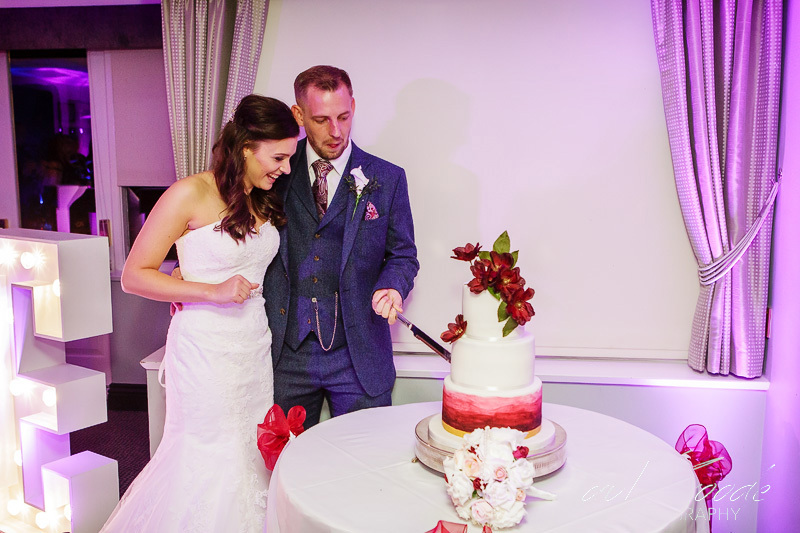 Cake cutting was followed by Lucy and Ade’s first dance. 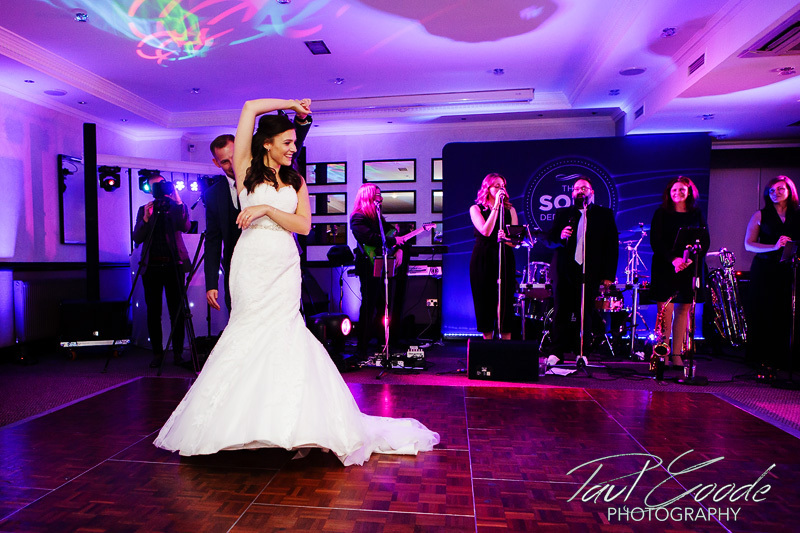 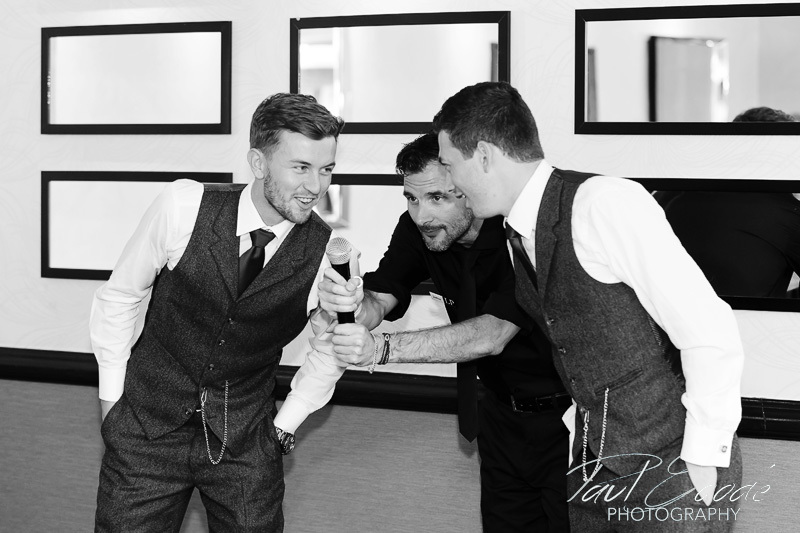 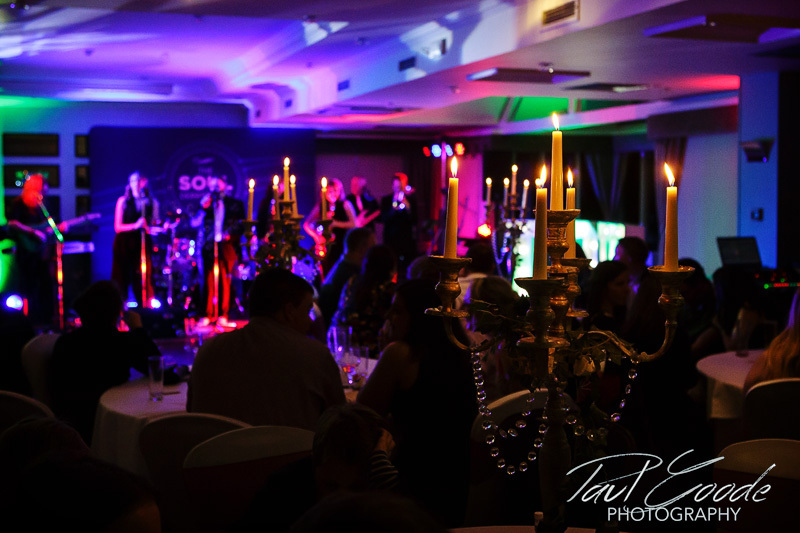 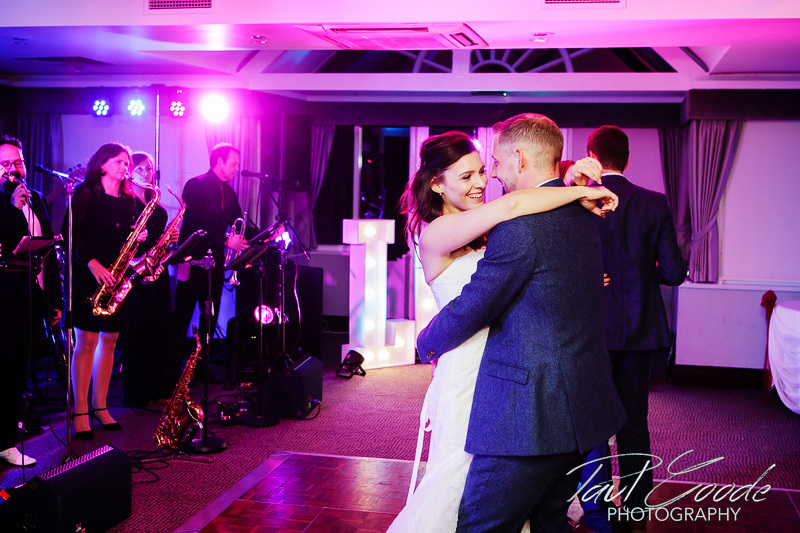 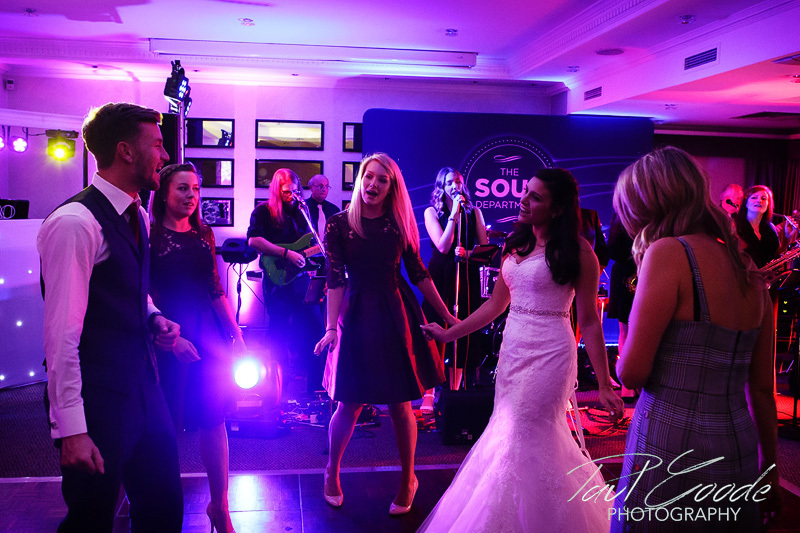 The band ‘Soul Department‘ provided great music and entertainment, getting everyone on the dance floor to enjoy the rest of the evening. 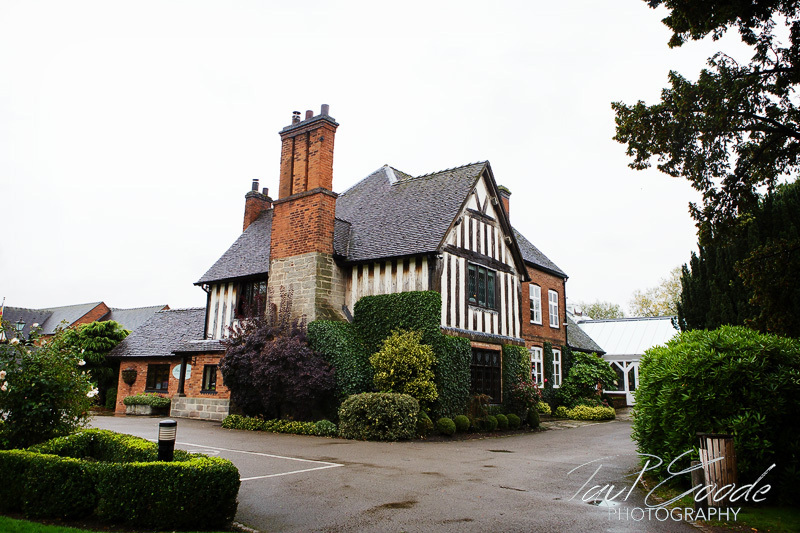 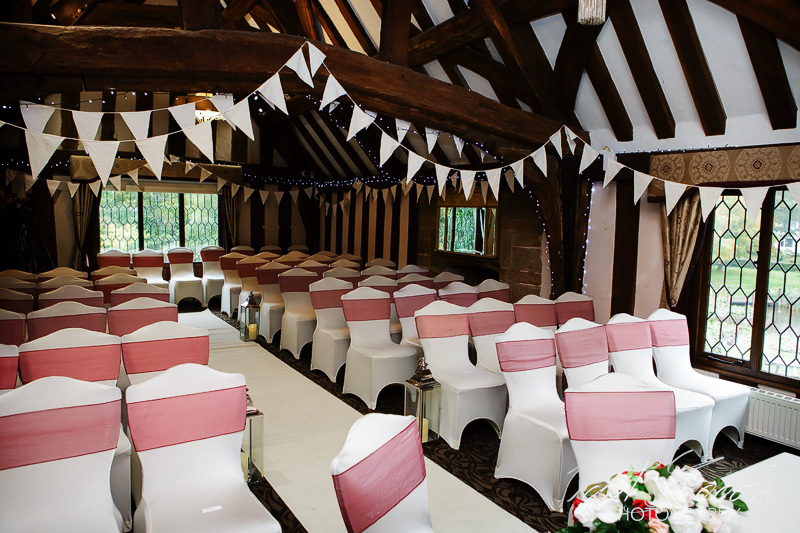 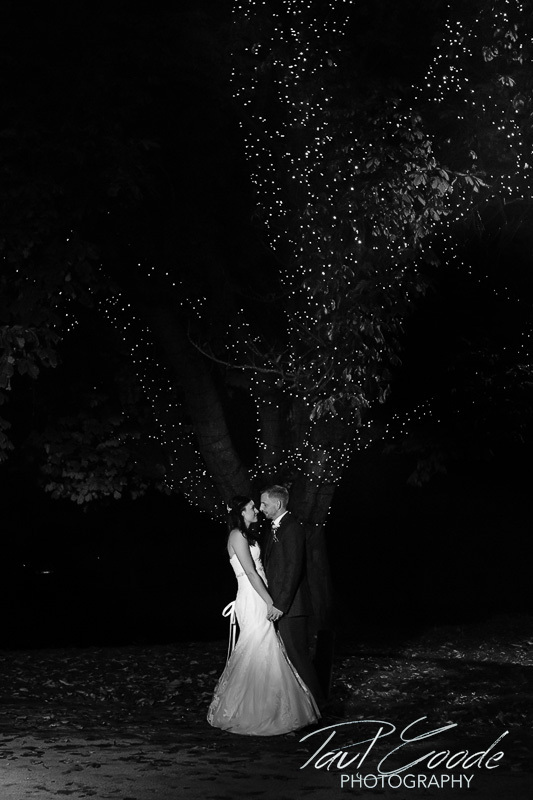 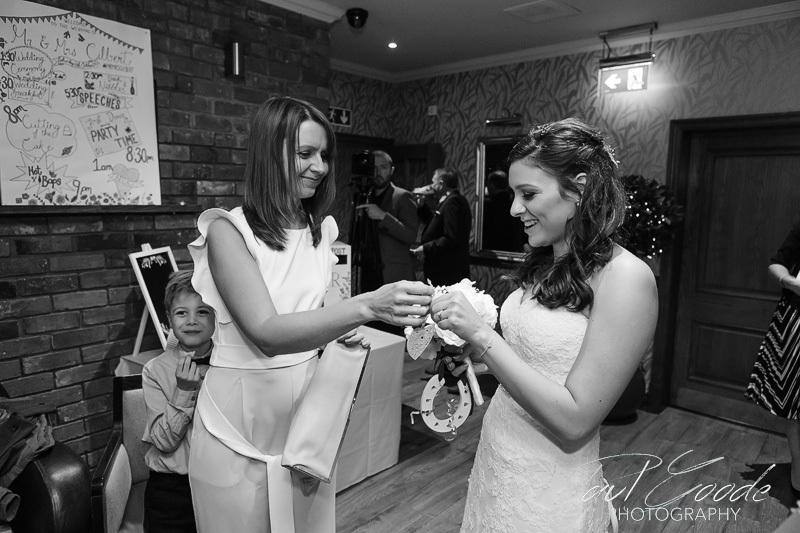 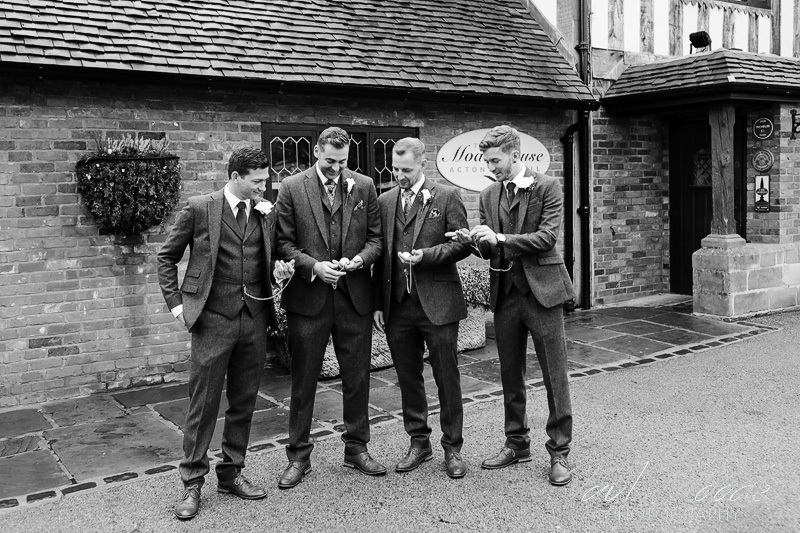 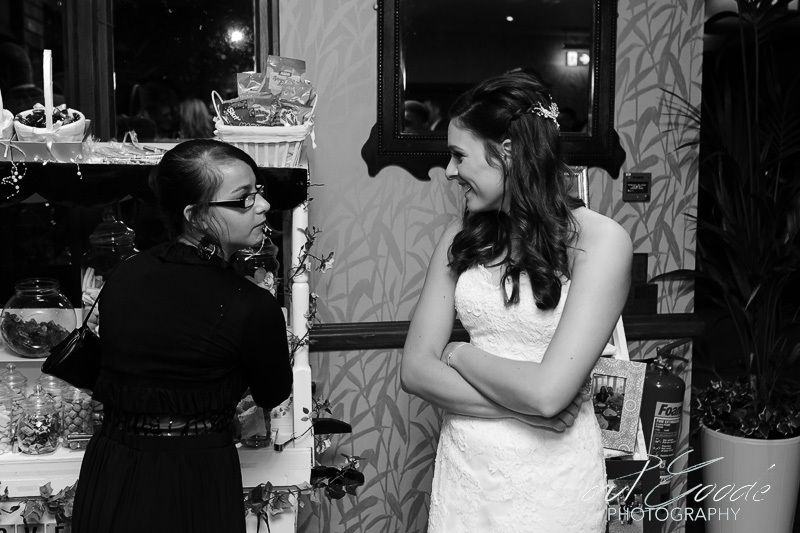 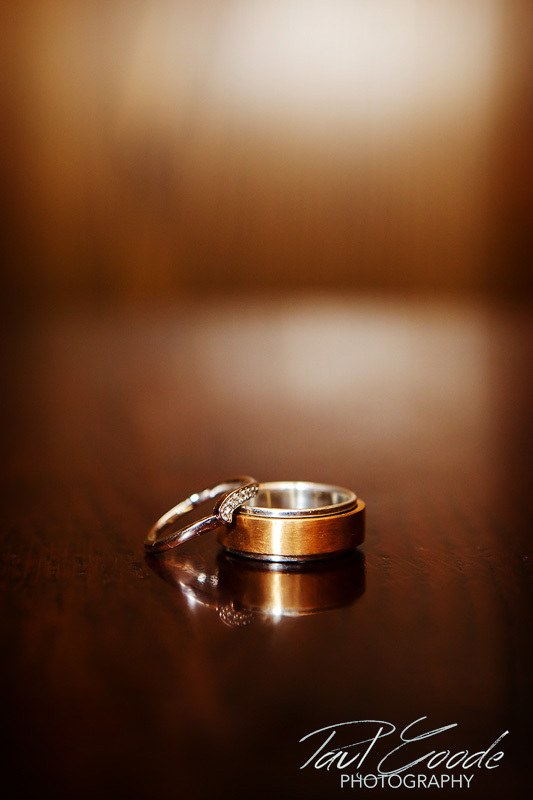 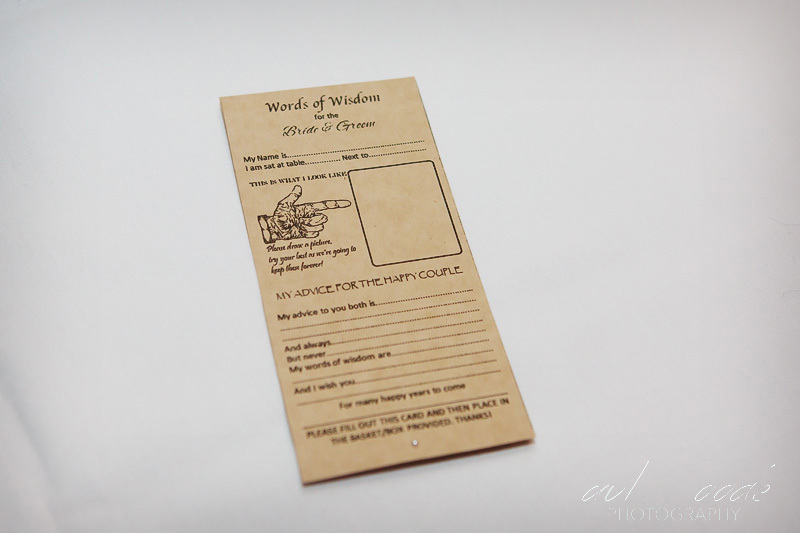 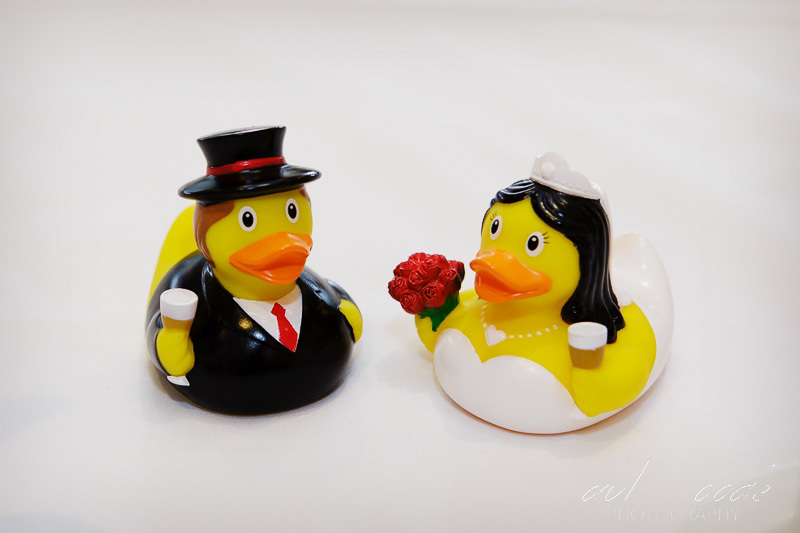 To see examples of my work from your wedding venue please type the venue name into the box below & press enter. 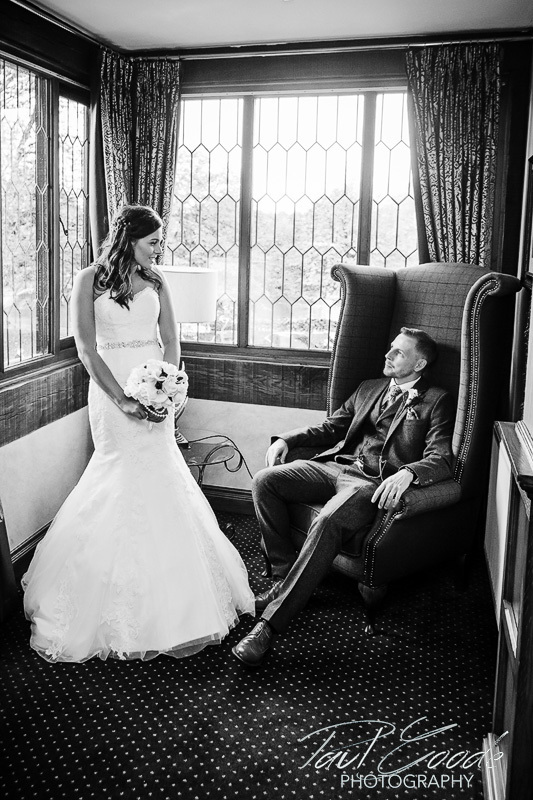 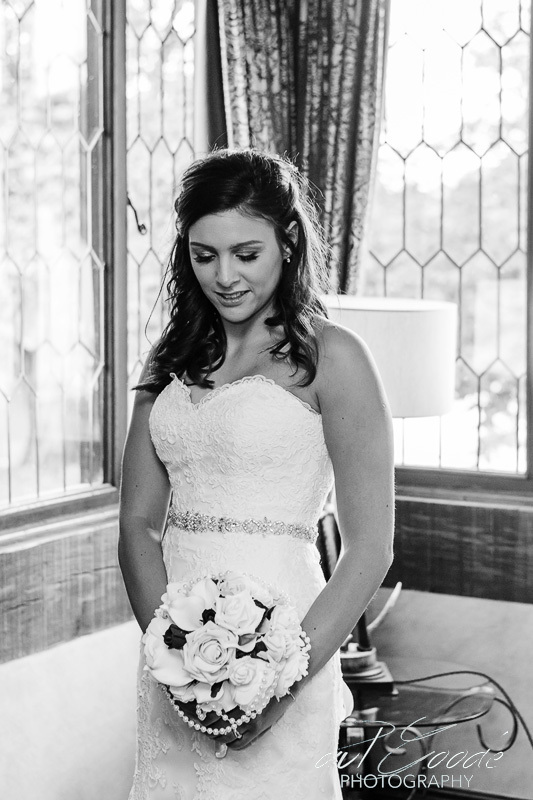 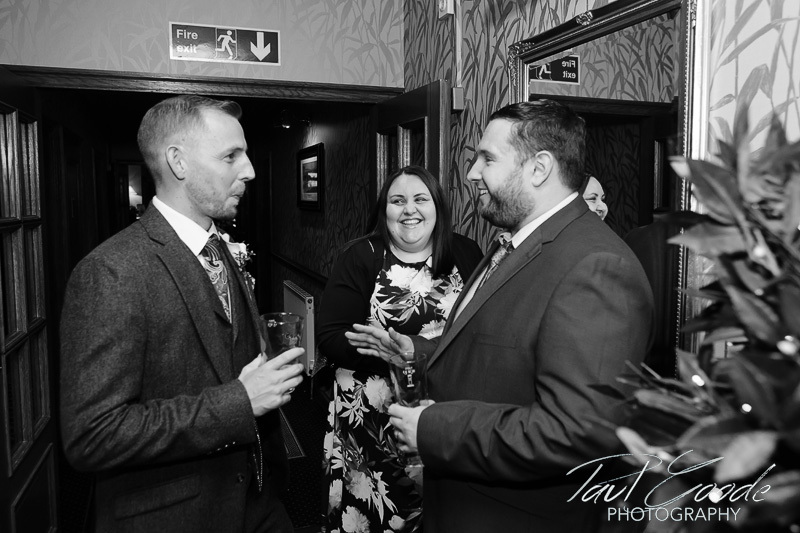 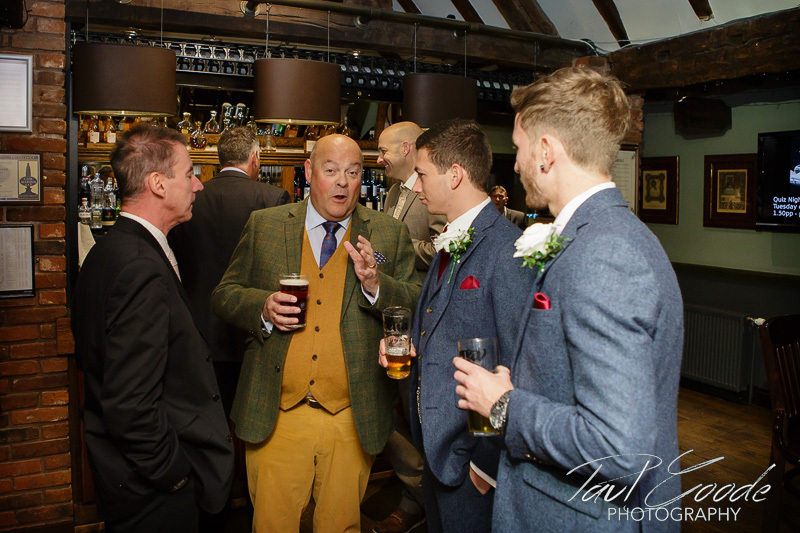 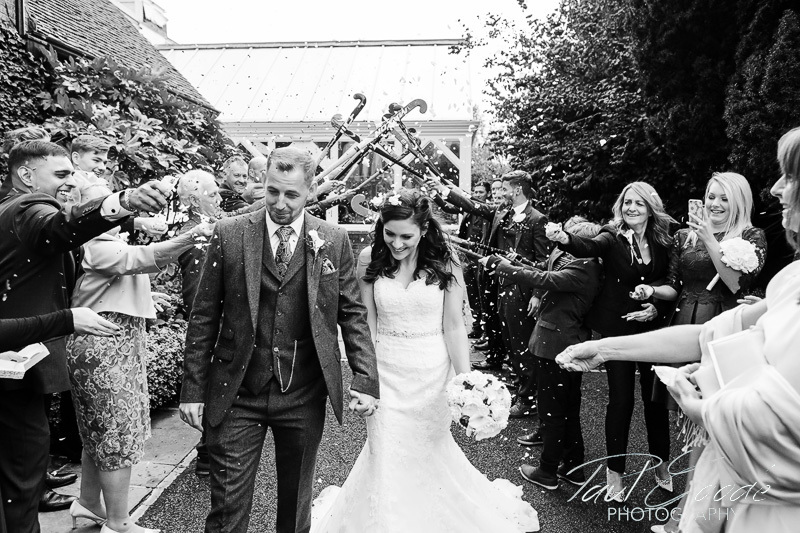 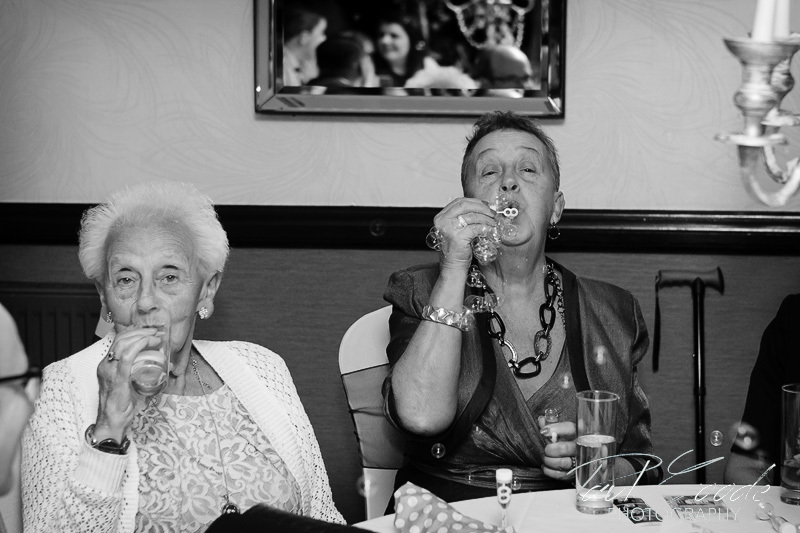 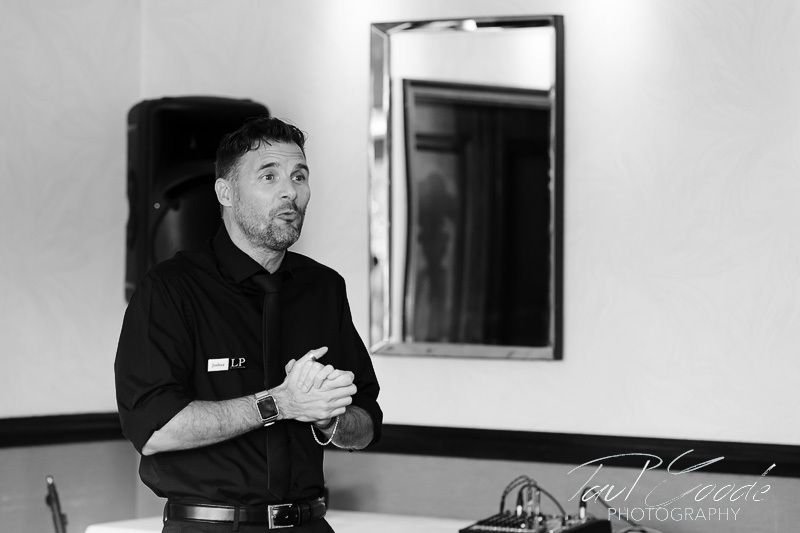 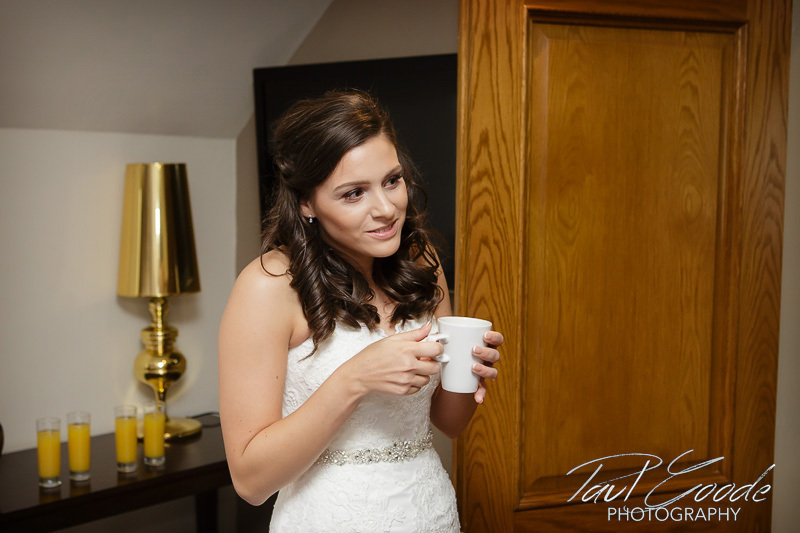 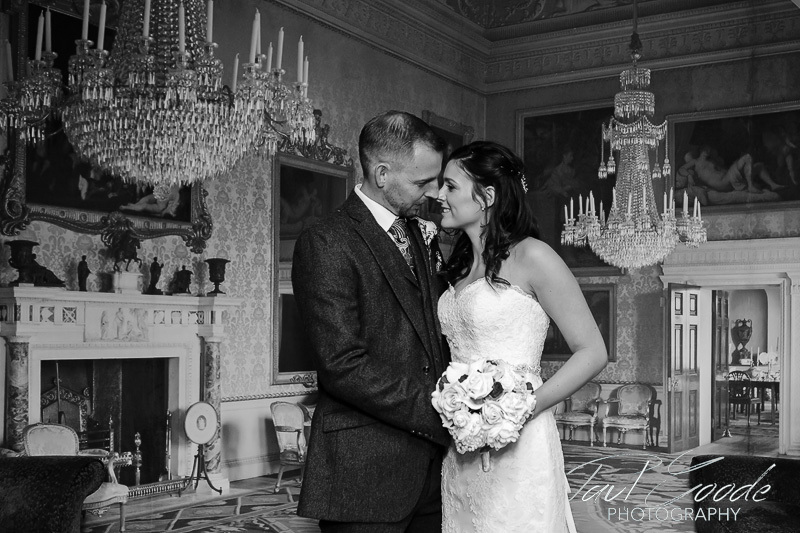 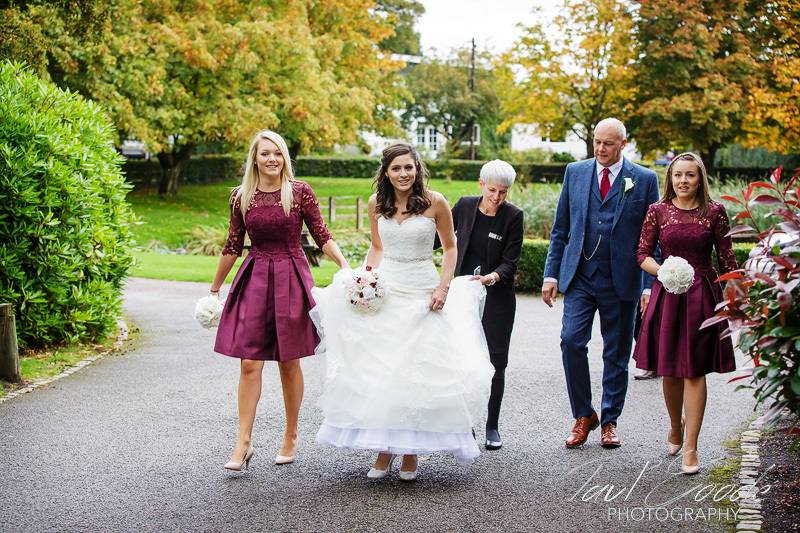 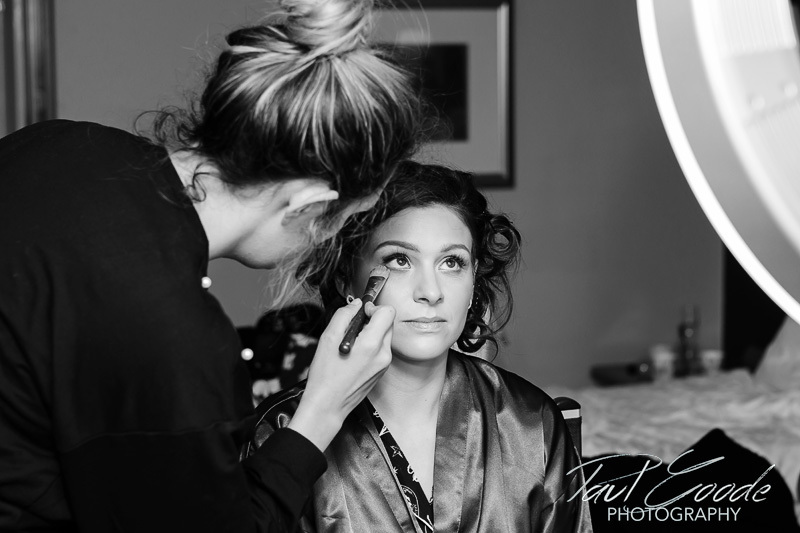 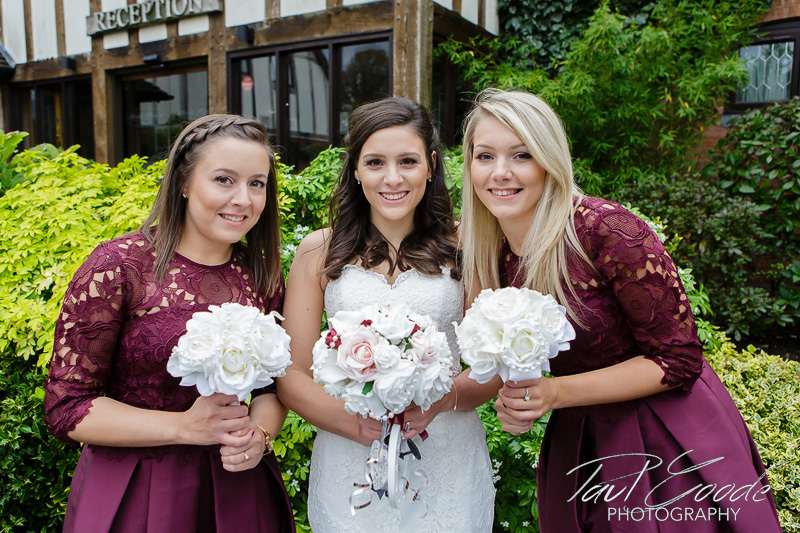 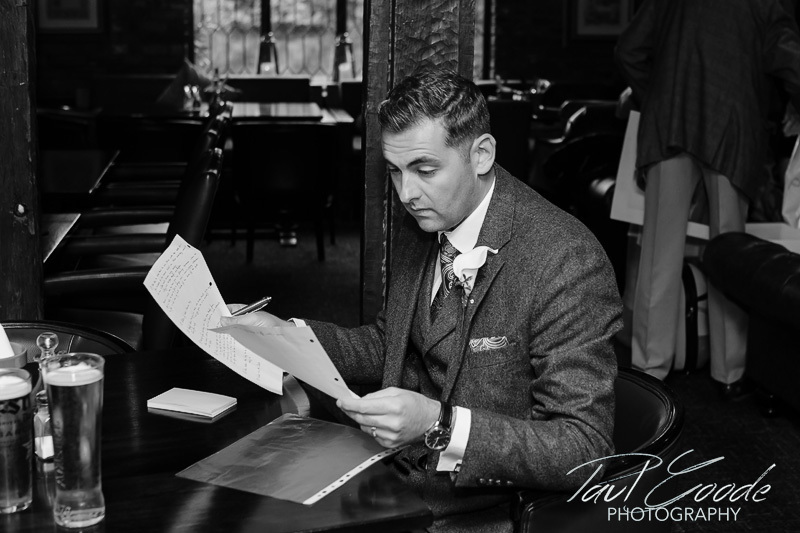 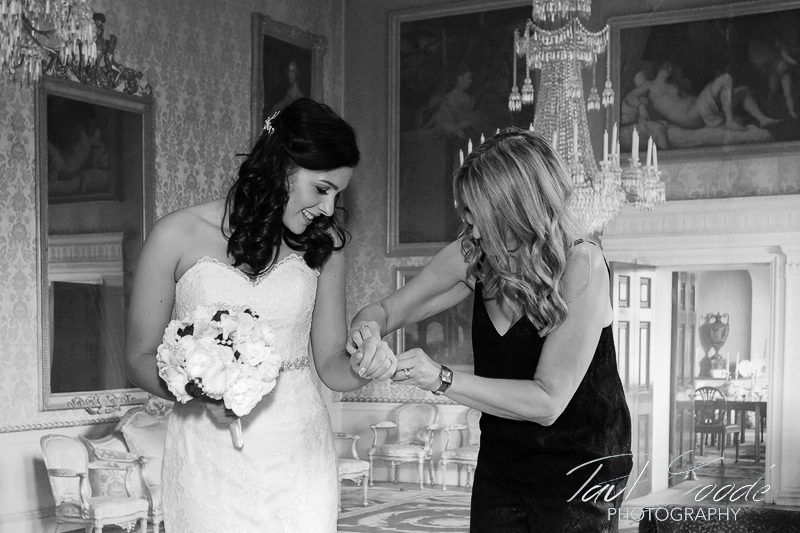 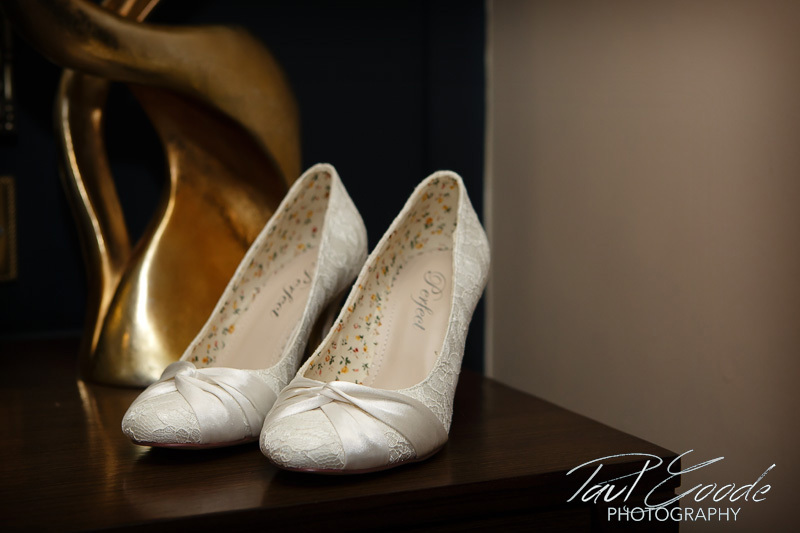 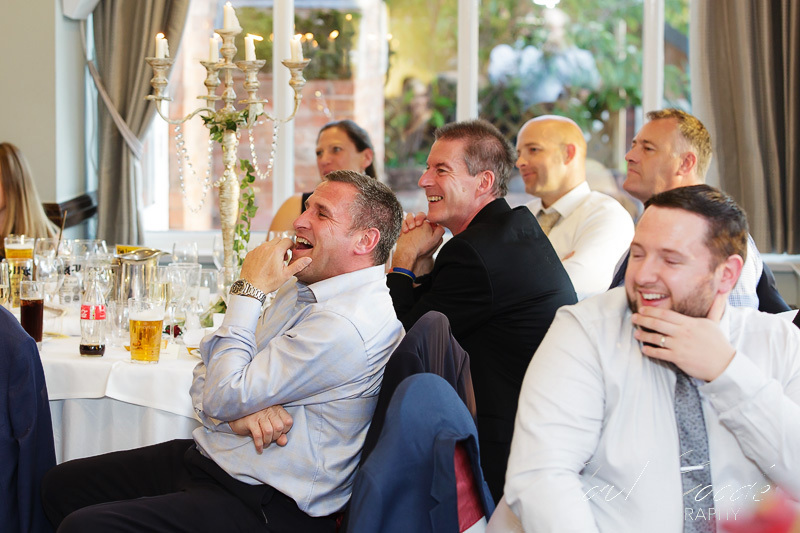 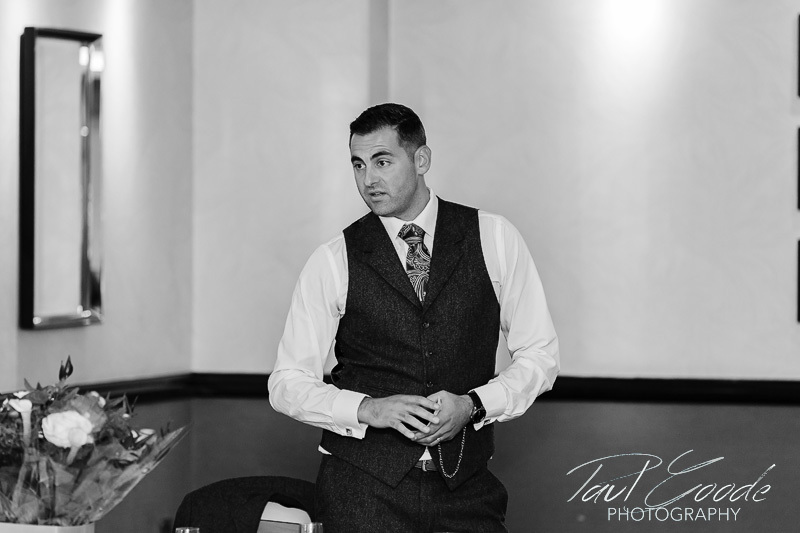 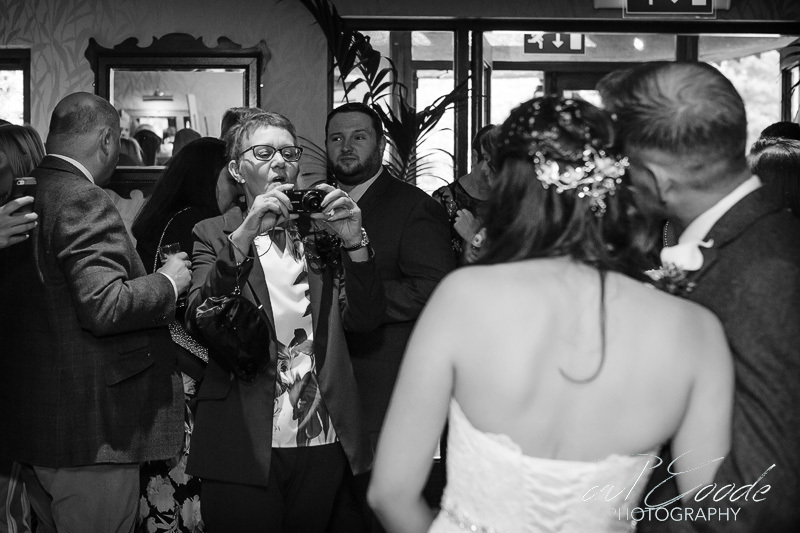 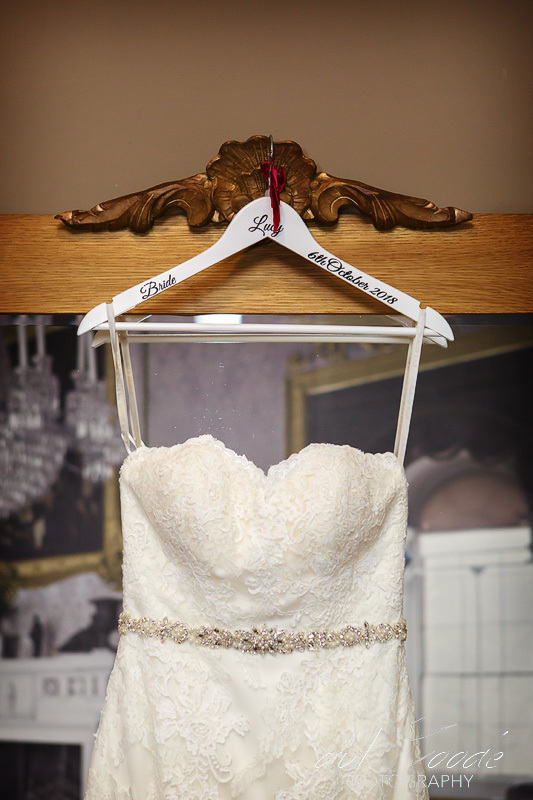 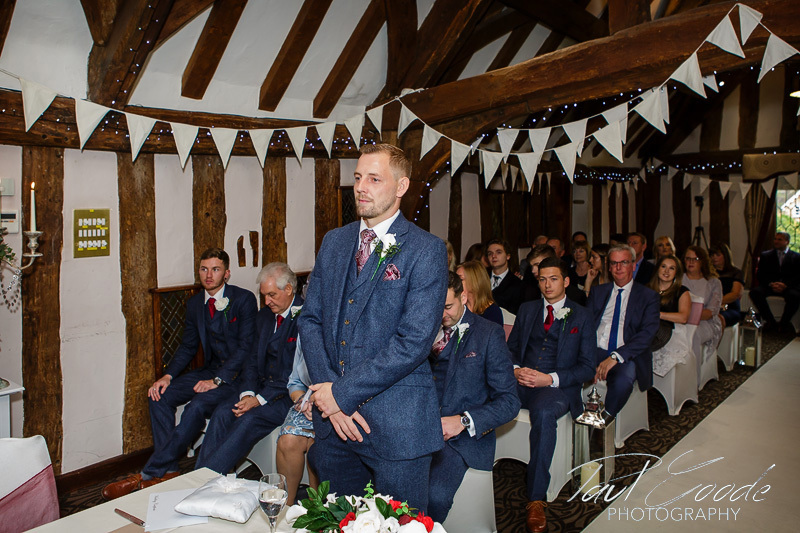 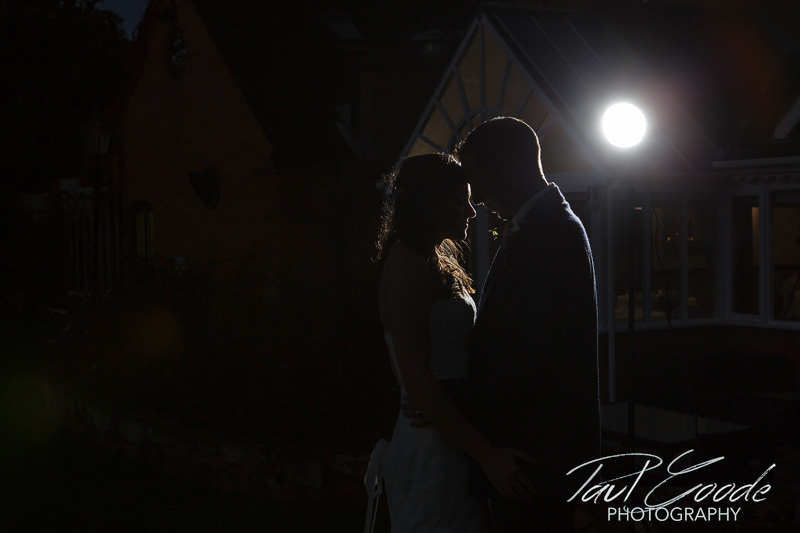 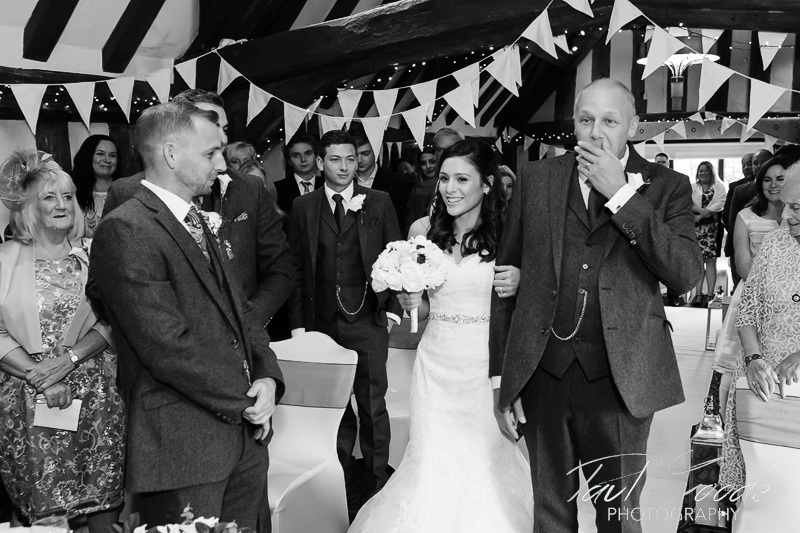 To discuss your wedding or portrait photography requirements please contact me via the contact page, email me on paul@paulgoodephotography.co.uk or call 0121 351 6537 or 07795 058319. 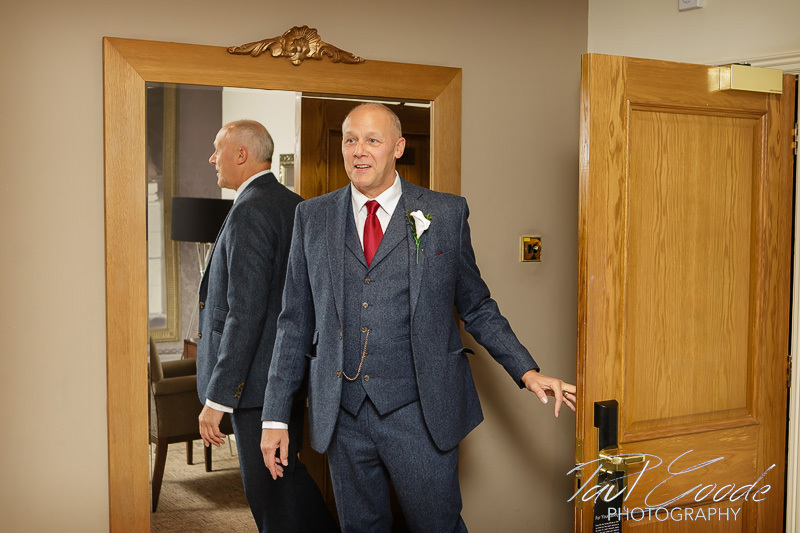 Please browse my website to find out about the photography services I provide including Family and Portrait Photography.